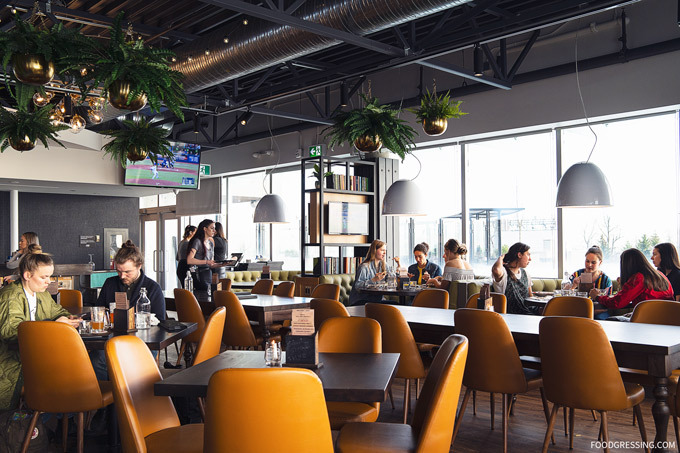 Newly open at SFU‘s Burnaby Campus is The Study Public House, an arcade-inspired pub and social space located inside the Maggie Benston Centre. 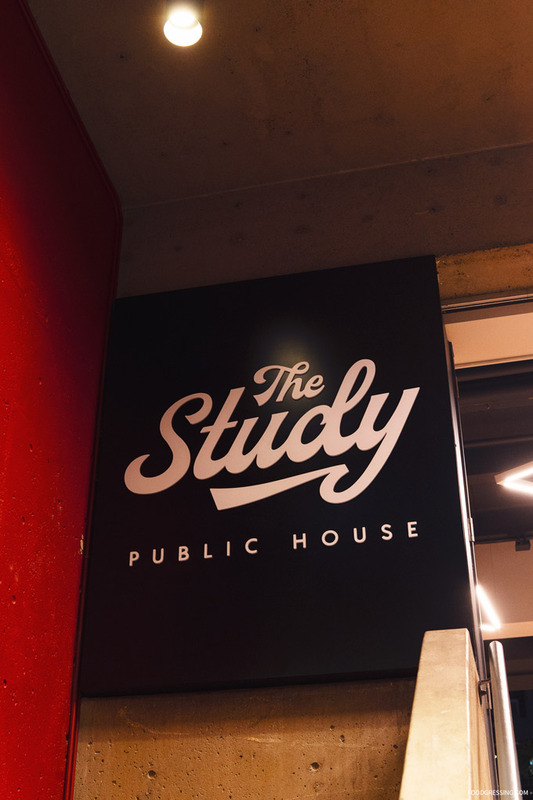 The Study is a collaborative venture between the university and the Joseph Richard Group, one of B.C.’s fastest growing food, beverage and entertainment organizations with more than 20 public houses, restaurants and liquor retail outlets in BC and Alberta. 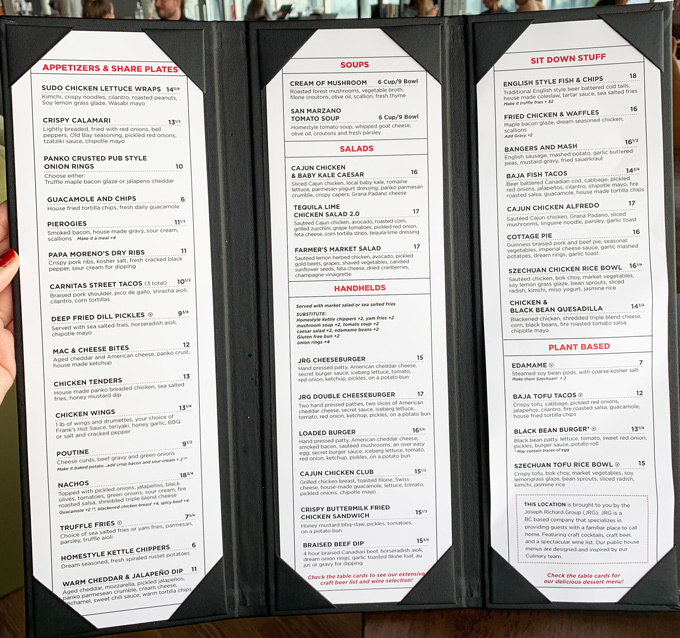 I was invited to a media event this past weekend to see the new space and to try some of the menu offerings. Here’s a look at what you can expect. 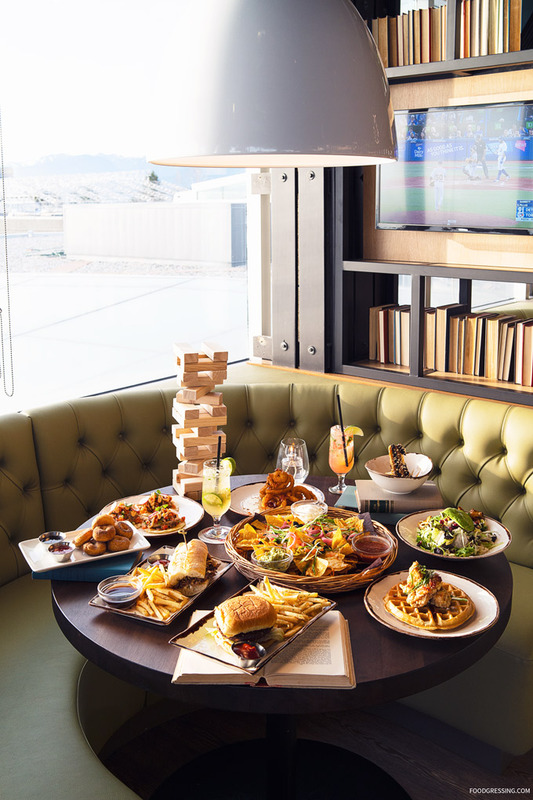 The Study Public House seats 320 along with an expansive patio with views from Burnaby Mountain. 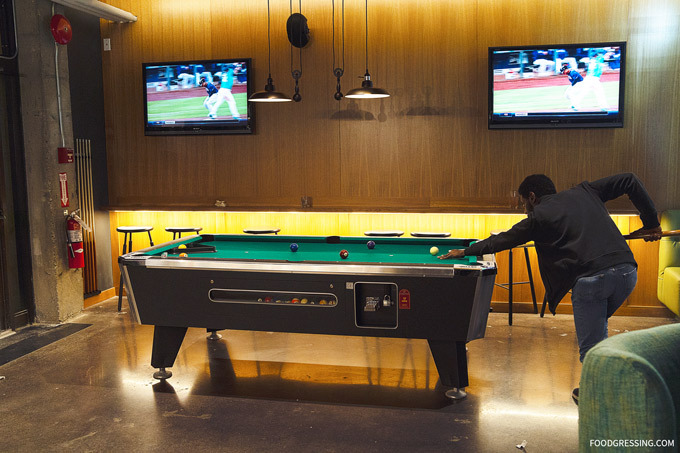 The lower level features an arcade complete with pinball machines, a shuffleboard table, a pool table and so forth. 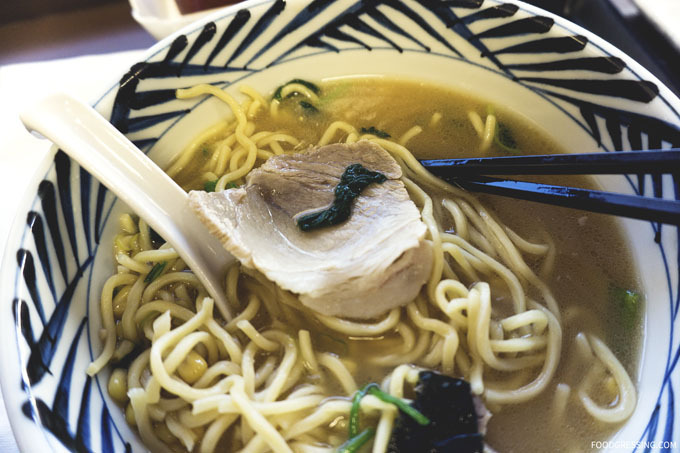 The Study menu features local, craft, made-from-scratch products, traditional fare and tasty classics. 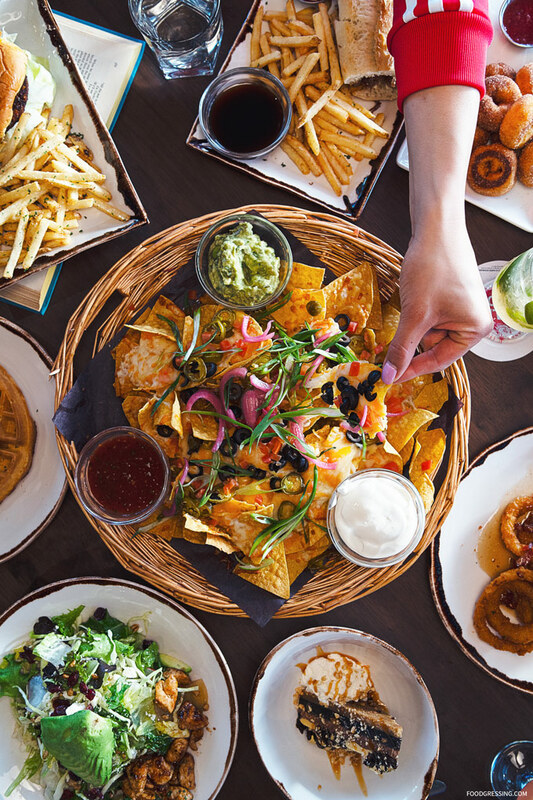 For shareables, there are the classics like nachos, chicken wings, poutine, and panko crusted pub-style onion rings and so forth. 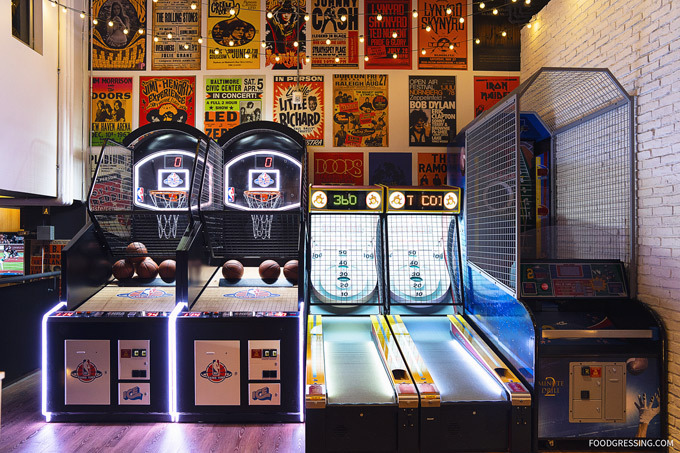 Featured handhelds include the JRG Double Cheeseburger, Cajun Chicken Club, Crispy Buttermilk Fried Chicken and so forth. 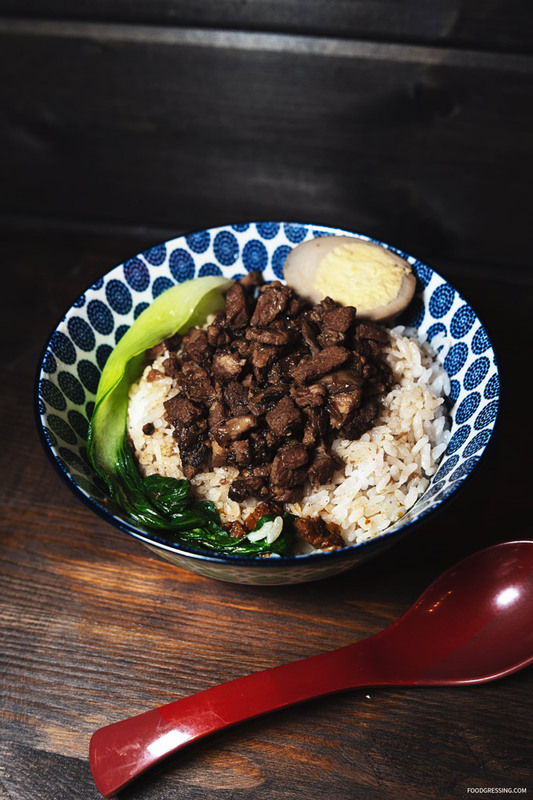 You’ll also find other entrees like Bangers and Mash, Cottage Pie, and Szechuan Chicken Rice Bowl. 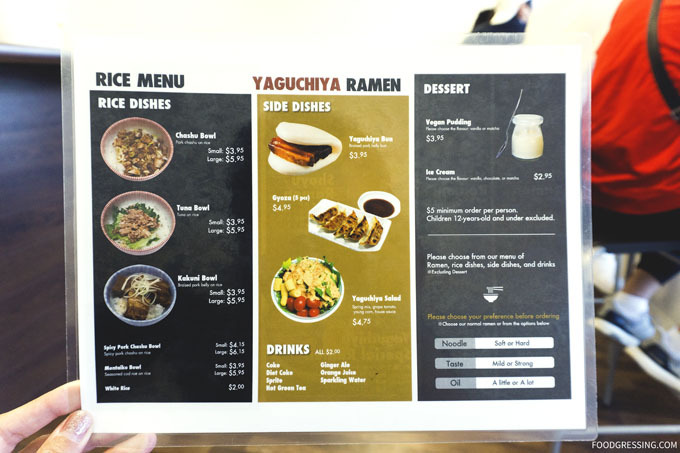 The menu also has a a few plant-based items like the Black Bean Burger, Szechuan Tofu Bowl and Baja Tofu Tacos. 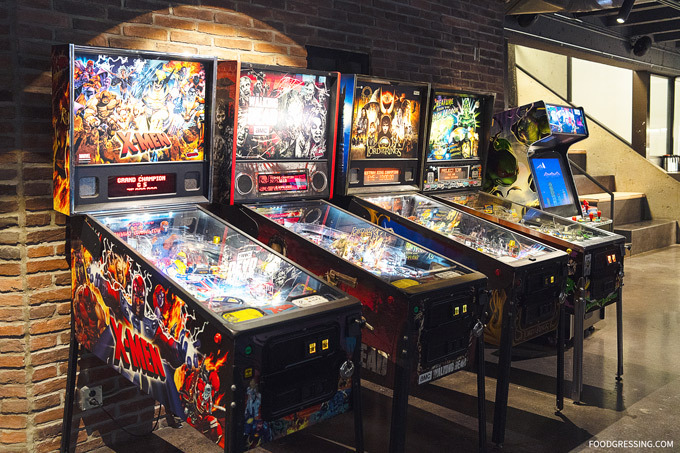 For drinks, you’ll find craft beer, signature cocktails as well as wine. 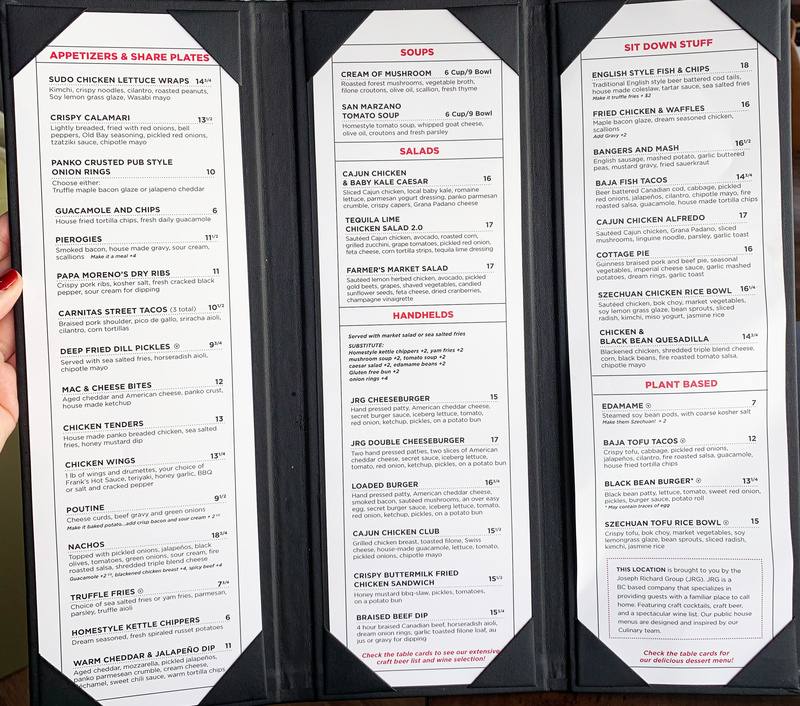 At the media event, we tried a variety of offerings on the menu. We tried a few signature cocktails including the Watermelon Mojito ($6)(raspberry vodka, fresh cubed watermelon, mint sprigs, syrup) and Apple Mint Fizz ($6) (wisers apple, pineapple, mint & bitters). Nachos ($18.75), the perfect shareable in a pub setting, came fully loaded with pickled onions, jalapenos, black olives, tomatoes, green onions, sour cream, fire roasted salsa, and shredded triple blend cheese. 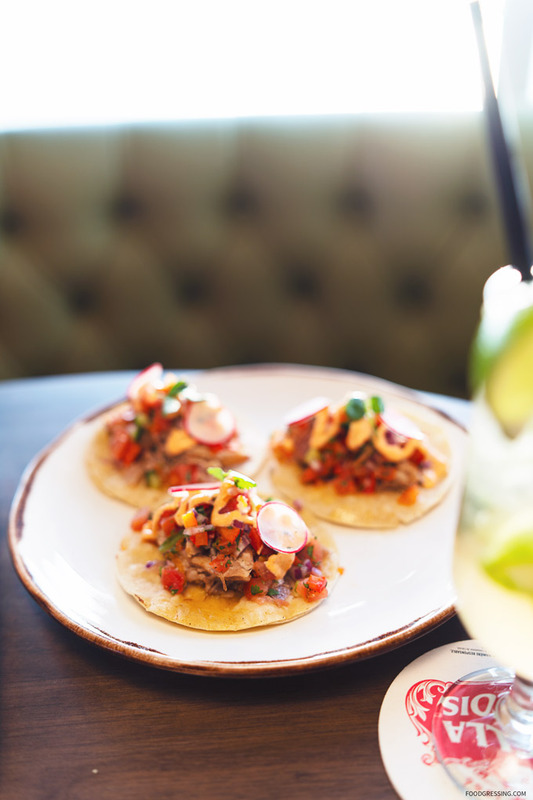 The Carnitas Street Tacos ($10.50) were a trio of braised pork shoulder tacos with pico de gallo, sriracha aioli, and cilatro served on a double-stack of corn tortillas. 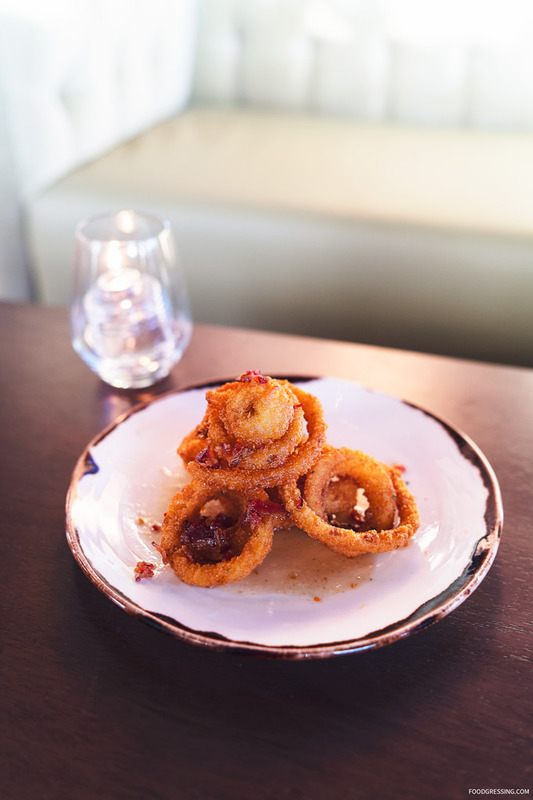 The Panko Crusted Pub Style Onion Rings ($10) come either with truffle maple bacon glaze or jalapeno cheddar. We went with the truffle maple bacon glaze which resulted in sweet and salty onion rings. The Farmer’s Market Salad ($17) was very refreshing. 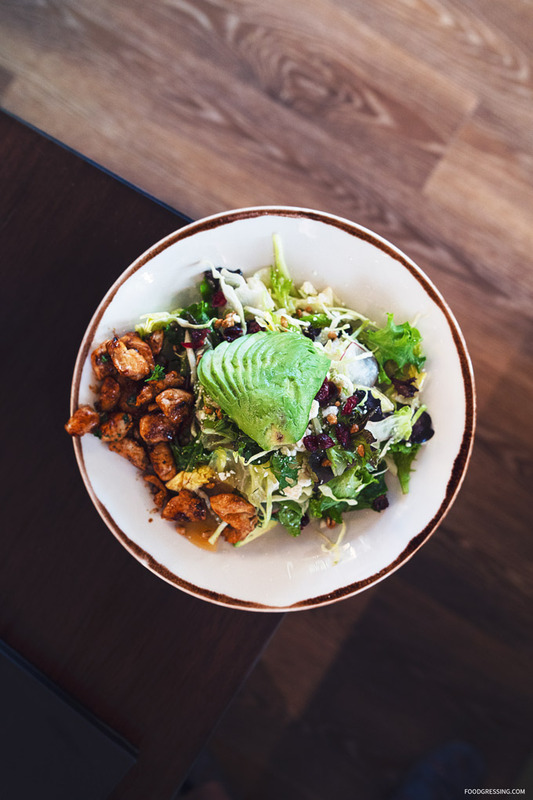 The sauteed lemon herb chicken had a sweet and sour taste and was accompanied by pickled golden beets, grapes, shaved vegetables, candied sunflower seeds, feta cheese, dried cranberries, champagne vinaigrette and topped with avocado. 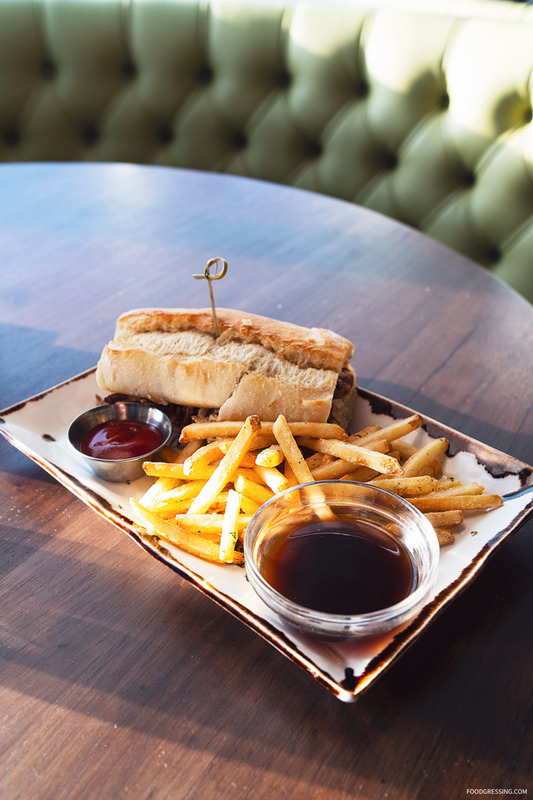 For handhelds, we tried the 4-hour braised Canadian beef sandwich ($15.75) with horseradish aioli and onion rings on garlic toasted filone loaf. You can either have au jus or gravy for dipping. 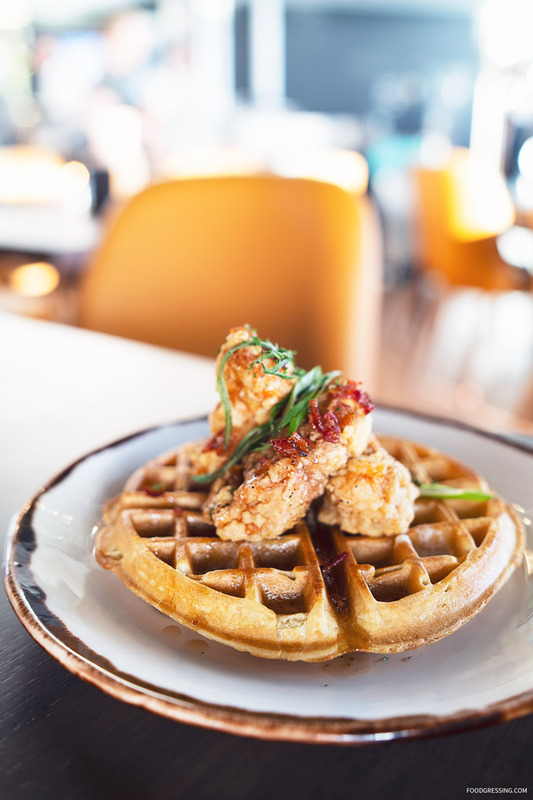 The Fried Chicken & Waffles ($16) had maple bacon glazed chicken topped with scallions. The batter for the fried chicken was nicely seasoned and the meat was juicy and tender. 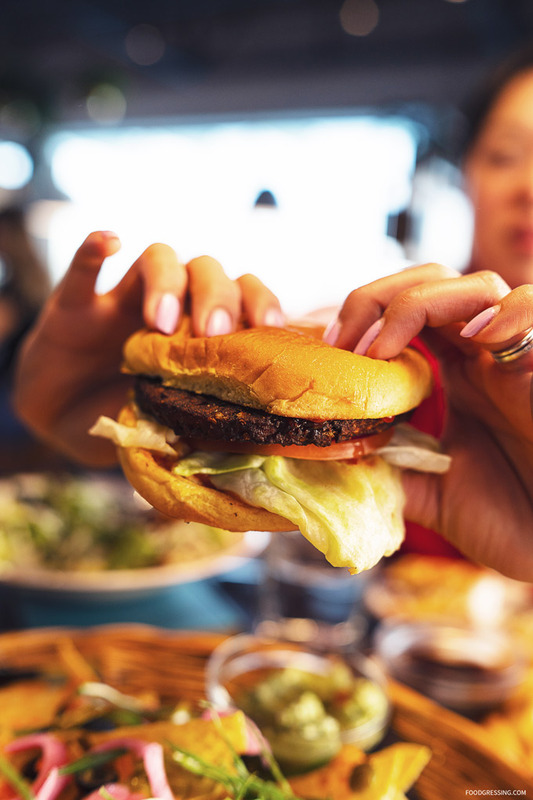 The Black Bean Burger ($13.25) had a tender (not crumbly or mushy, tasty black bean patty with lettuce, tomato, sweet red onion, pickles, burger sauce and potato roll. 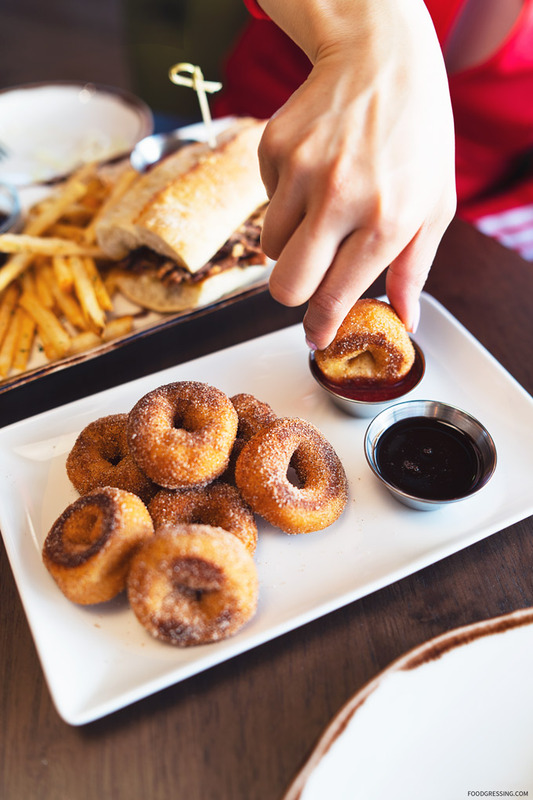 You wouldn’t need to wait until the PNE to get those mini donuts, because The Study has them on their dessert menu. 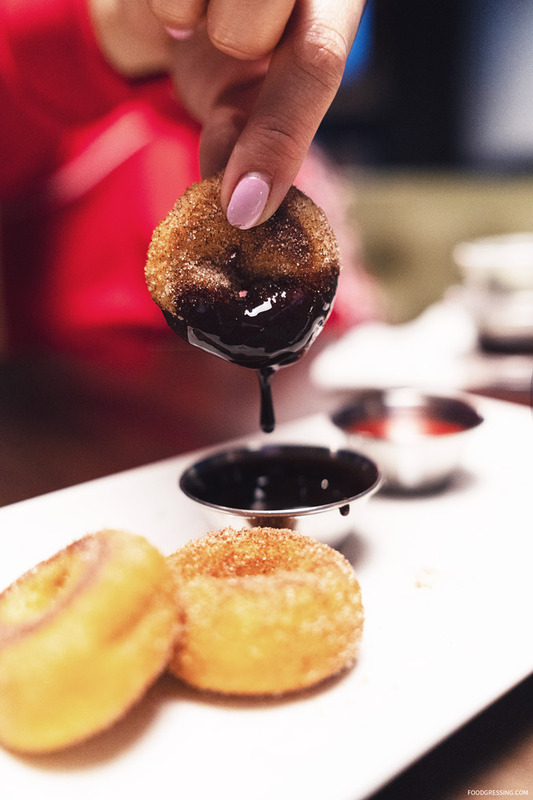 The Sack-O-Doughnuts ($6) are tossed in cinnamon and sugar and served with house made strawberry compote and chocolate sauce for dipping. 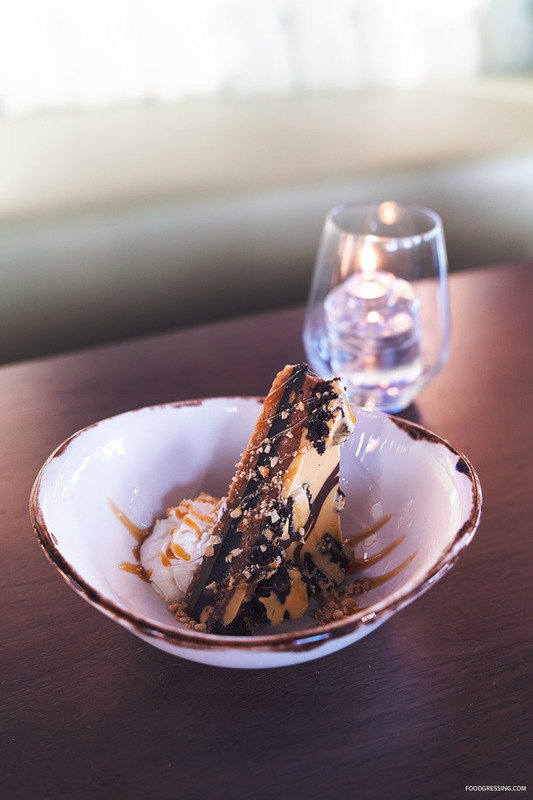 A more decadent dessert offering is the Peanut Butter Chocolate Stack ($7) featuring a dark chocolate brownie layered on a soft and rich peanut butter cookie, topped with crispy milk chocolate and peanut butter ganache. Served with whip cream and crushed peanuts all drizzled with caramel sauce. 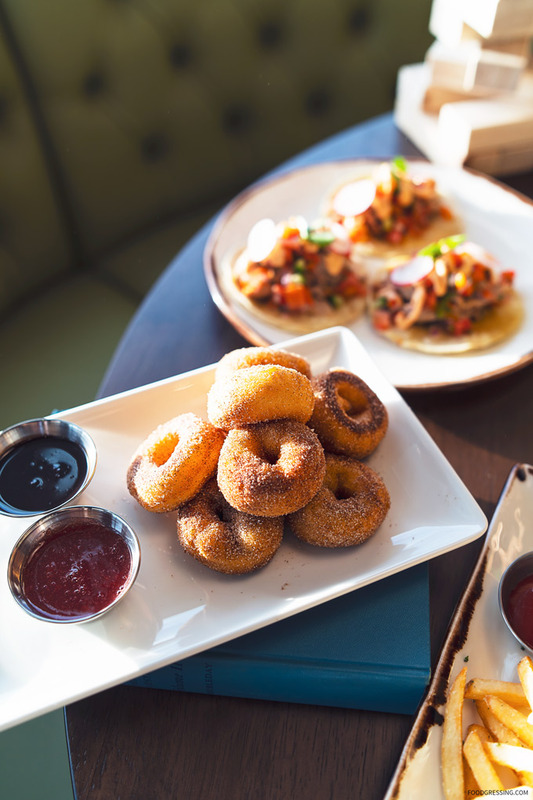 My top choices for a 3-course would be the nachos, plant-based Black Bean Burger, and the Sack-O-Doughnuts. 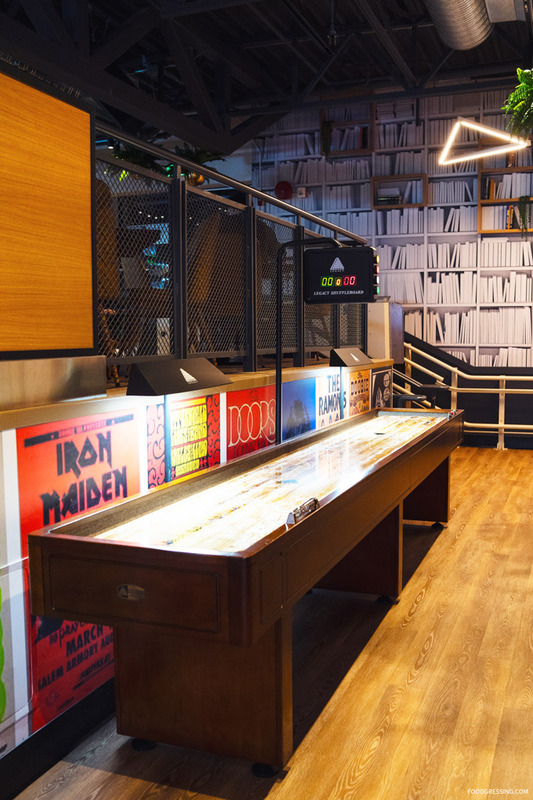 The Study officially opens their doors April 1. 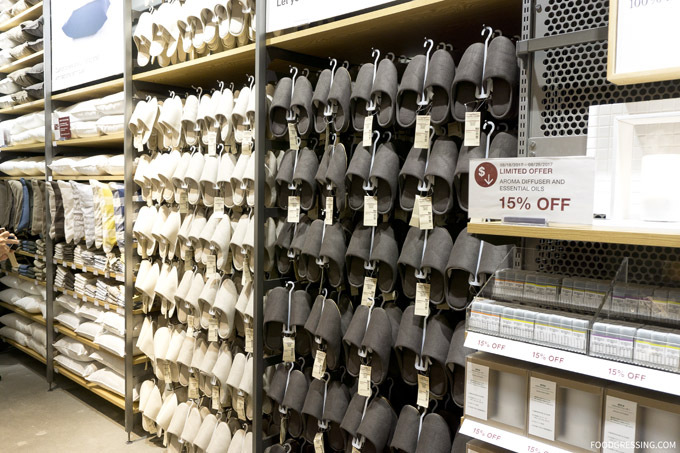 They are open Monday – Saturday from 11am – 1am to Sunday from 11am – 12 am. 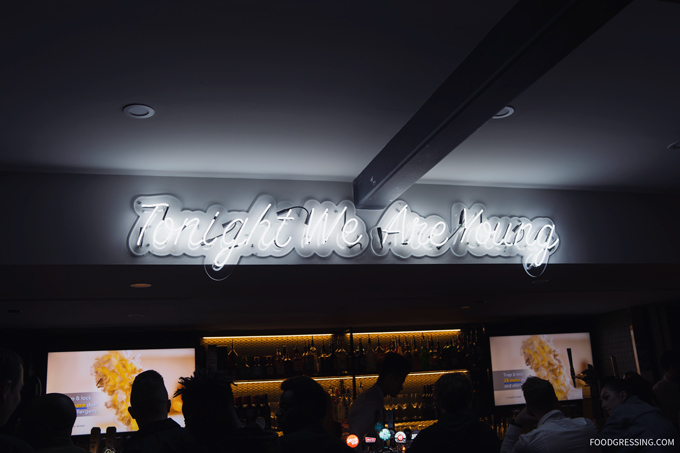 For more information, visit www.jrghospitality.ca/establishment/the-study/. 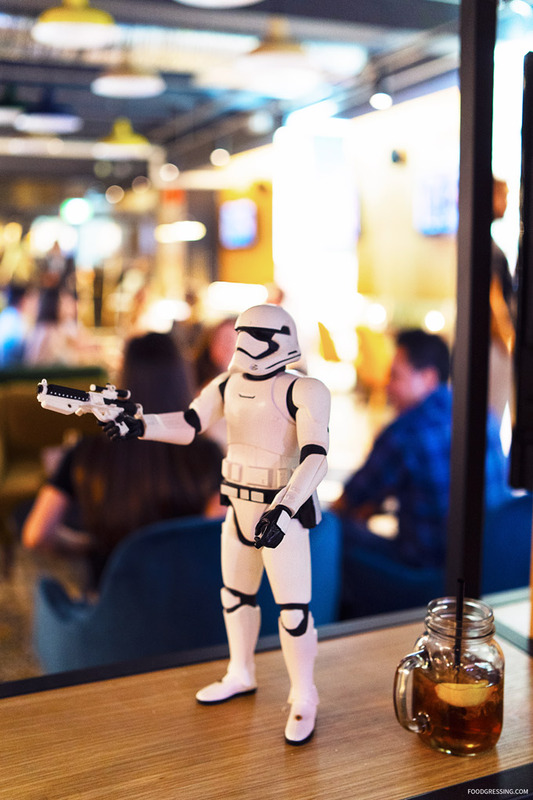 After watching “Crazy Rich Asians” with a few girlfriends at Silvercity Metropolis, we decided to grab some dinner at nearby restaurant. 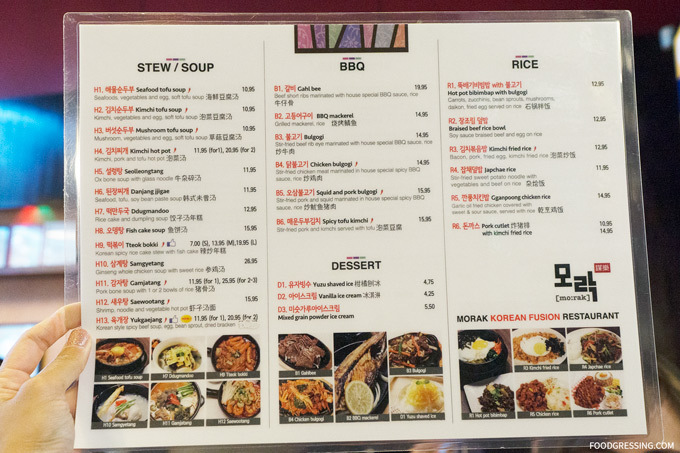 One of the girls lived in the neighbourhood and recommended Morak Korean Fusion Restaurant – an eatery where she was a regular. 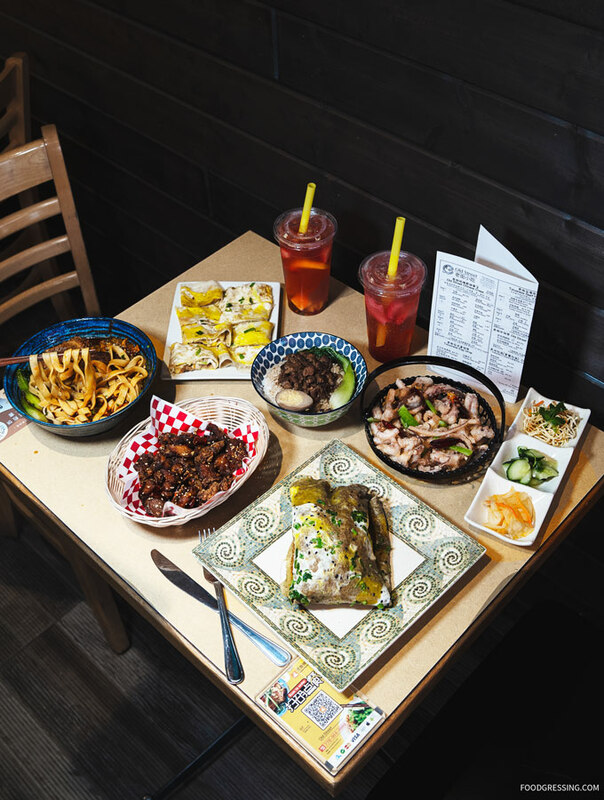 Morak seemed like a quaint restaurant with a modern interior and a mix of booths and dining tables. The menu was divided into appetizers, specialty dishes, noodles, stews/soups, BBQ dishes, rice and desserts. 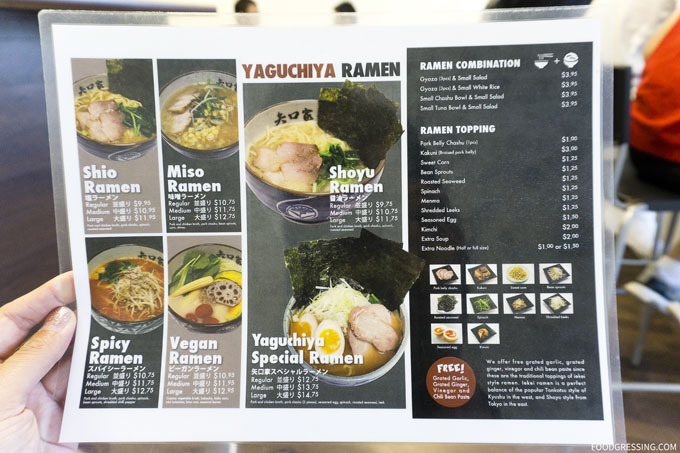 The food overall was good with reasonable portions for the prices. Nothing stoodout for me perhaps because all the dishes we ordered tasted more or less the same. 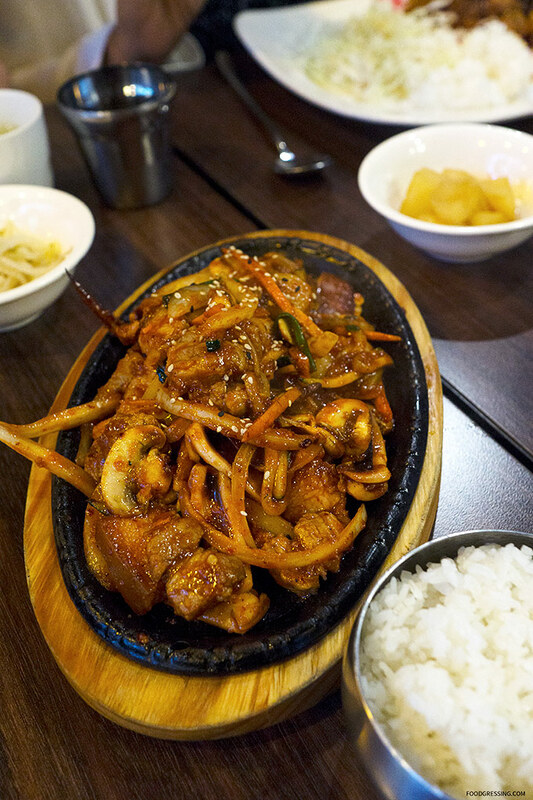 Our dinner was rather meat-centric with the meat dishes having very similar Korean sweet and spicy flavours. 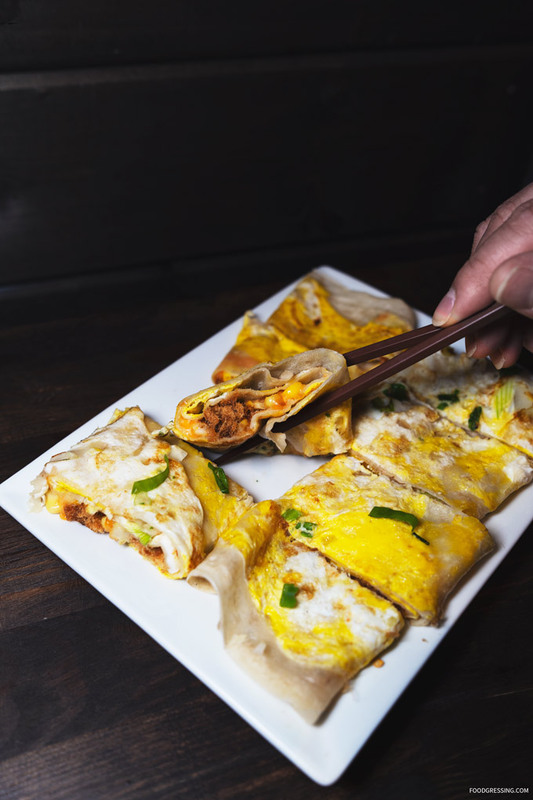 I think that if we added a seafood pancake, tofu soup and so forth, the meal would have been less one tonal. 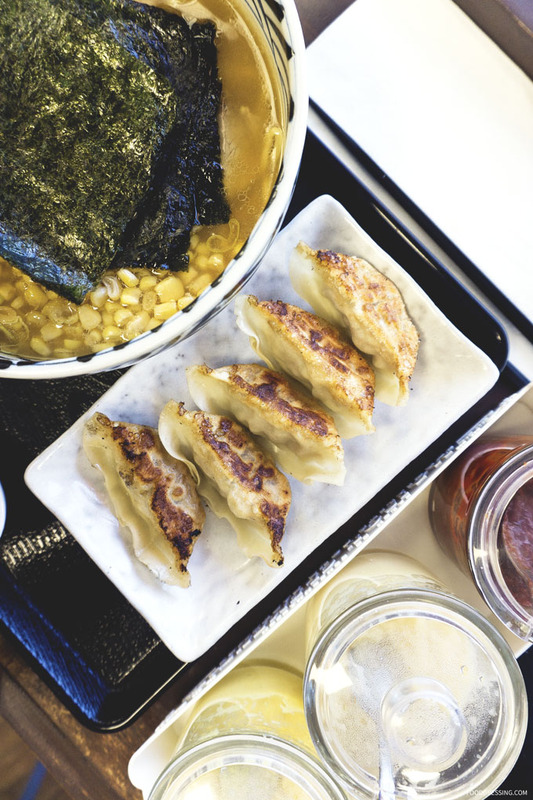 Here’s a look at the dishes we tried. The deep fried pork was lightly battered and wonderfully crispy on the outside while tender on the inside. I enjoyed the citrusy, sweet and sour flavours. 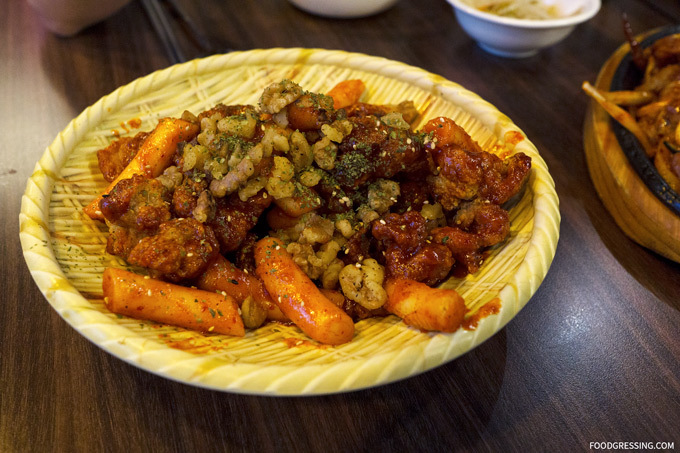 The Korean-style sweet and spicy chicken was accompanied by rice cakes and topped with nuts. 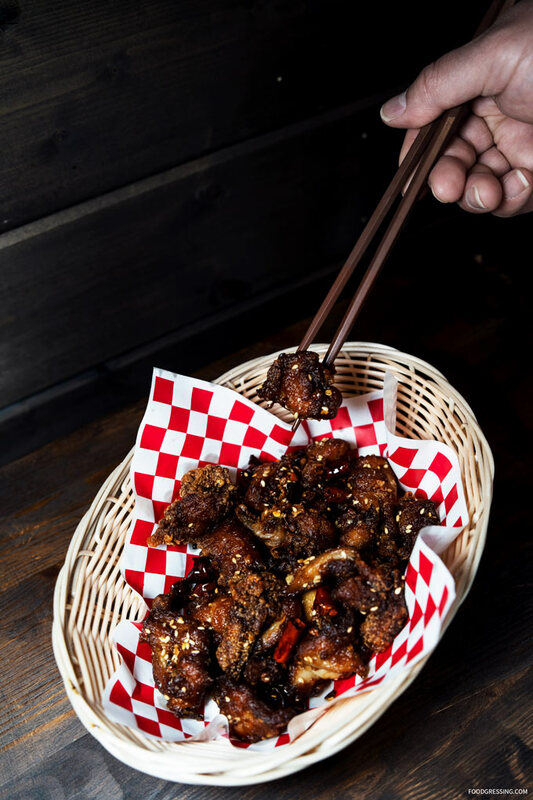 The deep fried chicken was very crispy, tender and flavourful. 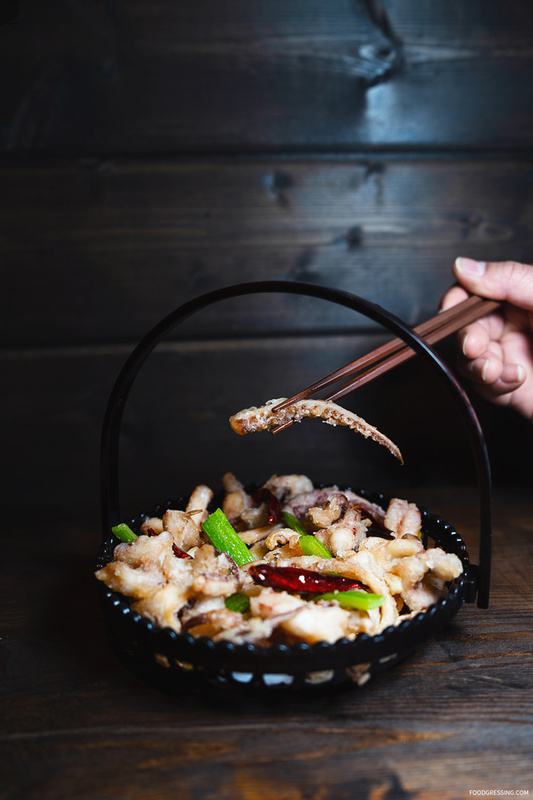 Pork bulgogi is my favourite thing to order at a Korean restaurant but at Morak it only comes with squid! 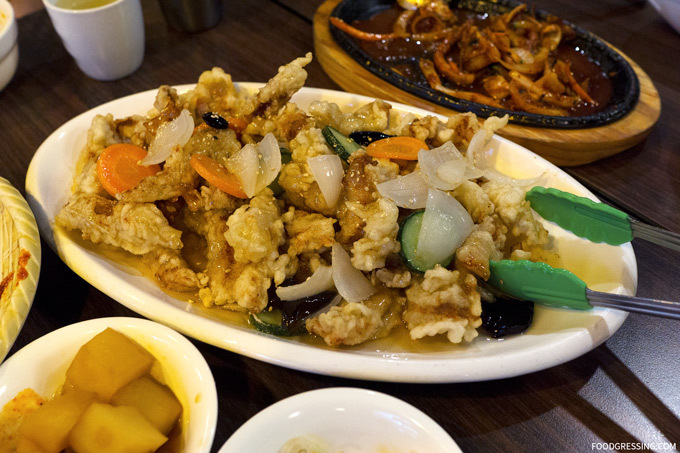 The dish was okay as I don’t think squid and pork go really well with each other. I would have much-preferred squid on its own. 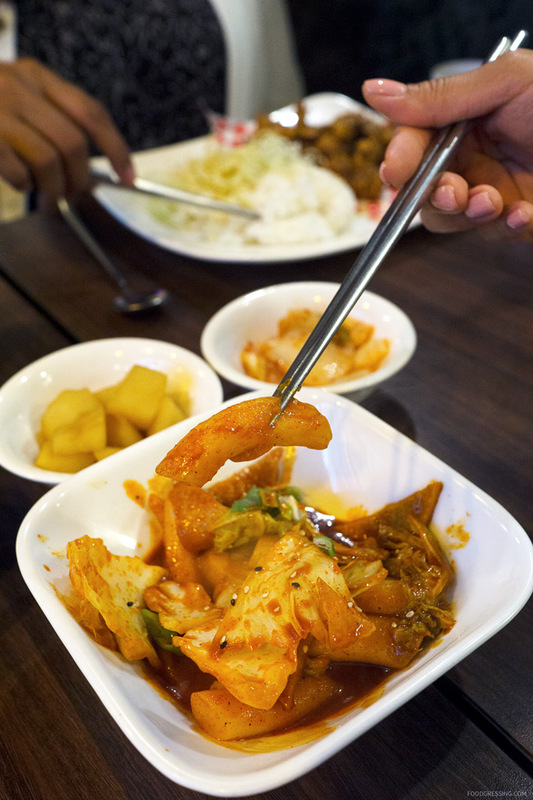 Korean spicy rice cake stew with fish cake. I think we ordered this thinking that it was like soup. However, it turned out to be rice cakes and fish cakes in sauce. 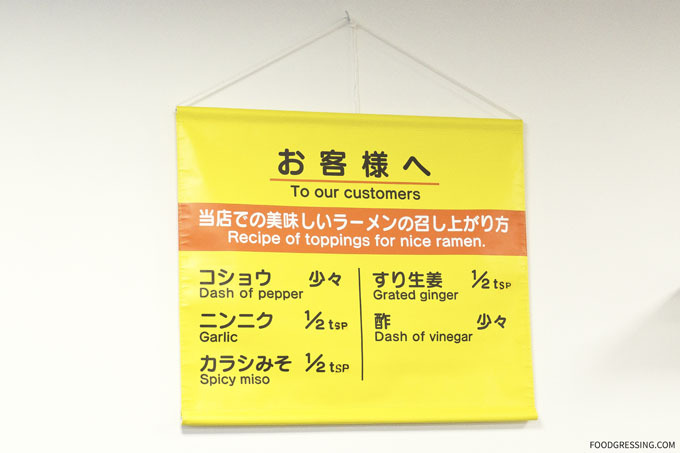 Service was friendly but there were some misses. 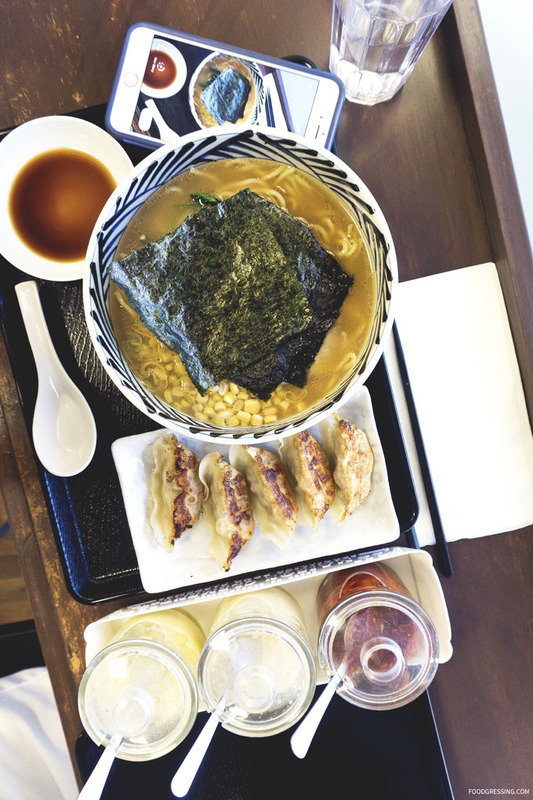 We needed to follow up on our order of Yuzu Pork which they probably only started making after we inquired about it. I also didn’t really like how we were brought the bill when we weren’t quite finished yet. I know it is a small, busy restaurant but there were some empty tables when they gave us the bill without us asking for it. One funny thing happened after I took some interior photos of the restaurant as we were leaving. A server ran out onto the street and asked if we needed a picture as a group. Super funny! 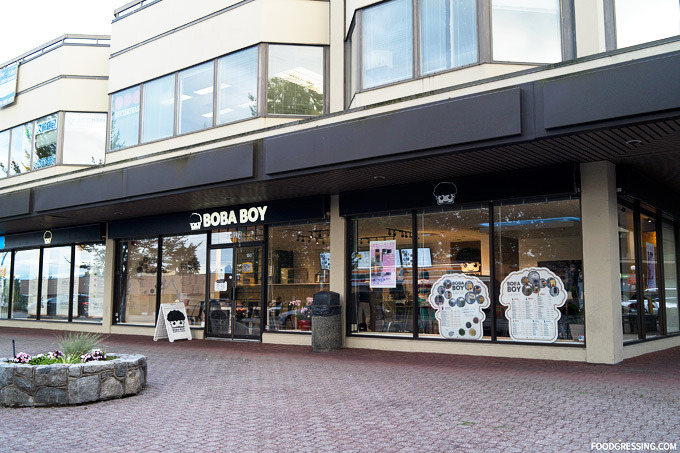 A few months ago, Boba Boy opened up their second BC location in Burnaby at Royal Oak and Kingsway. 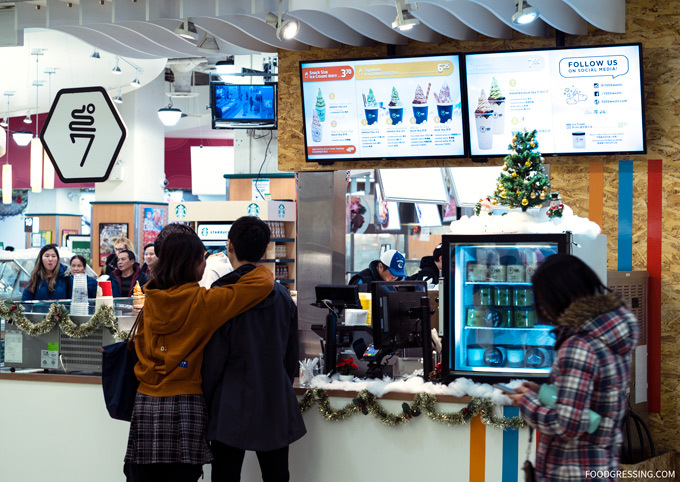 The Ontario-based franchise is known for serving drinks in their signature Boba Bottles – tall, reusable containers with screw-on caps that are great for on-the-go. 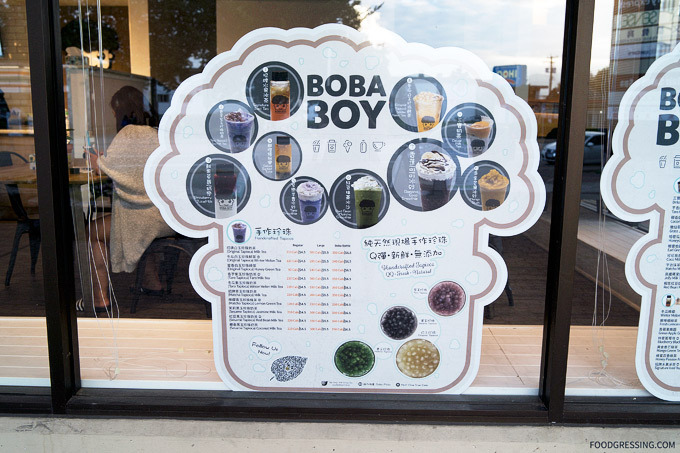 Boba Boy is a unique bubble tea shop because they freshly make their own tapioca which come in different flavours like matcha and taro. 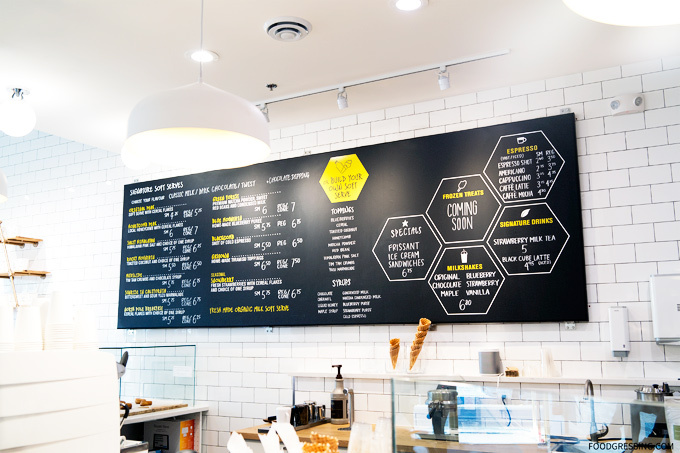 I had tried drinks from their first BC location in Kerrisdale (see post here) and found the experience to be good. 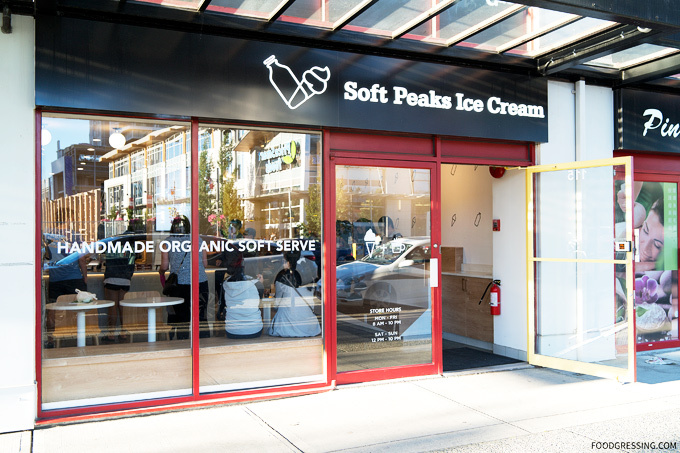 This time around, I decided to visit their new Burnaby location. 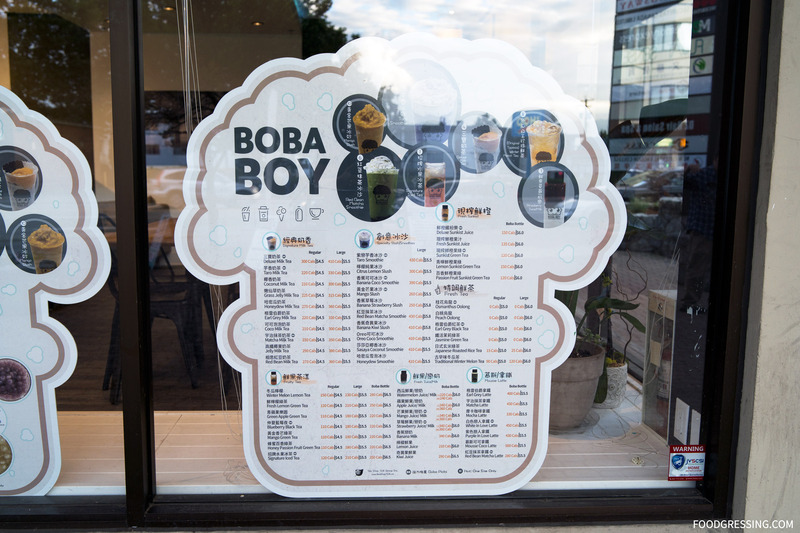 Boba Boy Burnaby offers a variety of drinks including Fruity Tea, Signature Milk Tea, Fresh Sunkist, Fresh Tea, Speciality Slush/Smoothies, Mousse Latte and Fresh Juice/Milk. 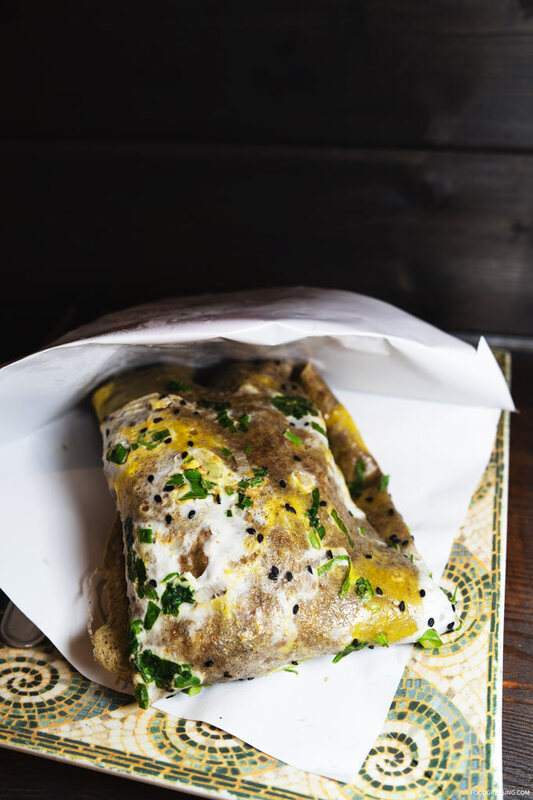 Aside from their handcrafted tapioca, they offer toppings like coconut jelly, grass jelly, pudding and red bean. 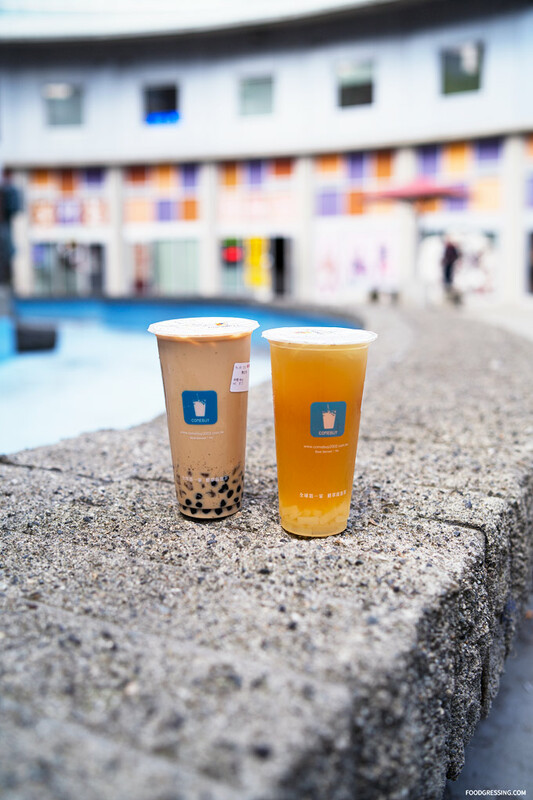 The drinks come in regular size ($4.50), large ($5.50 – $5.80), and their signature Boba Bottles ($5.50 – $6.50). The Boba Bottles are about $2 premium over the regular size. 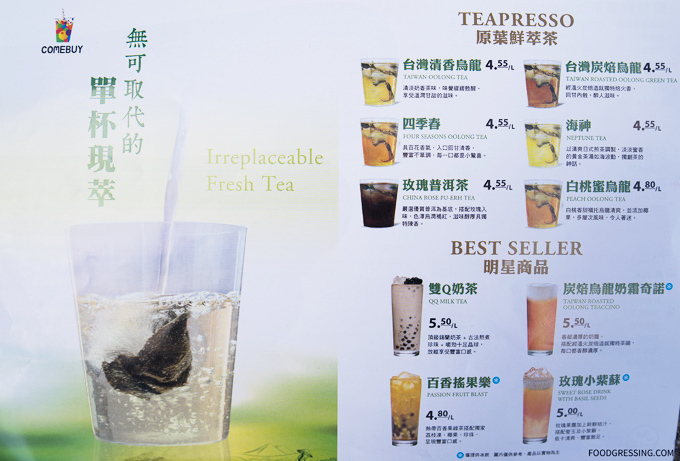 Some of their drinks already come with tapioca and are a bit cheaper as a “package.” These are listed separately. 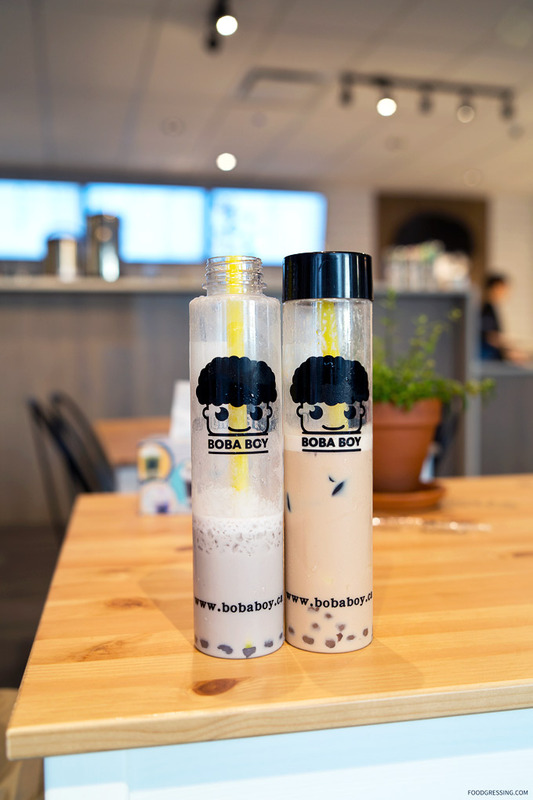 Boba Boy Burnaby offers a deal Monday to Thursday from 2 – 6 pm where Boba Bottles are $10 for 2. I found an official video which showcases how they make their additive- and preservative-free tapioca. 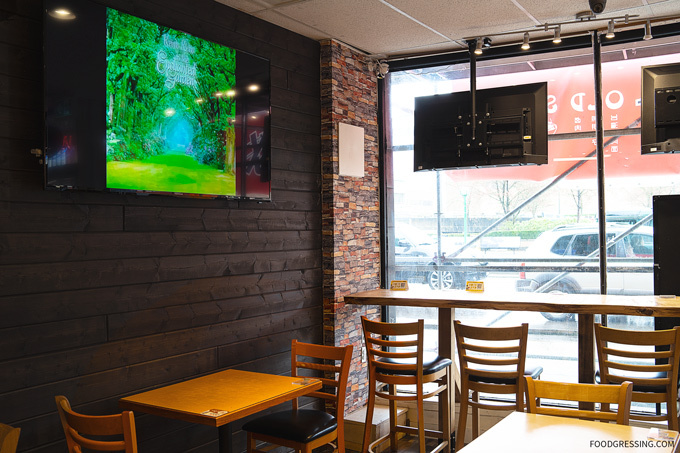 Boba Boy Burnaby has a more spacious interior compared to their sister location in Kerrisdale. Because I brought in the Boba Bottles from my visit to the Kerrisdale location, I received the drink for the price of a large. The drinks cost $5.50 as opposed to $6.50. I went with the Deluxe Milk Tea with Original Tapioca and Grass Jelly and the Taro Milk Tea with Taro Tapioca. The drinks did not have as strong tea flavour as other places like Chatime but it didn’t bother me that much. I did notice a significant improvement in the quality of their tapioca compared to what I had at their Kerrisdale location. Last time, they were too hard for my liking but the ones on this visit were much softer and closer to the “non-handcrafted ones” you would get from Chatime. 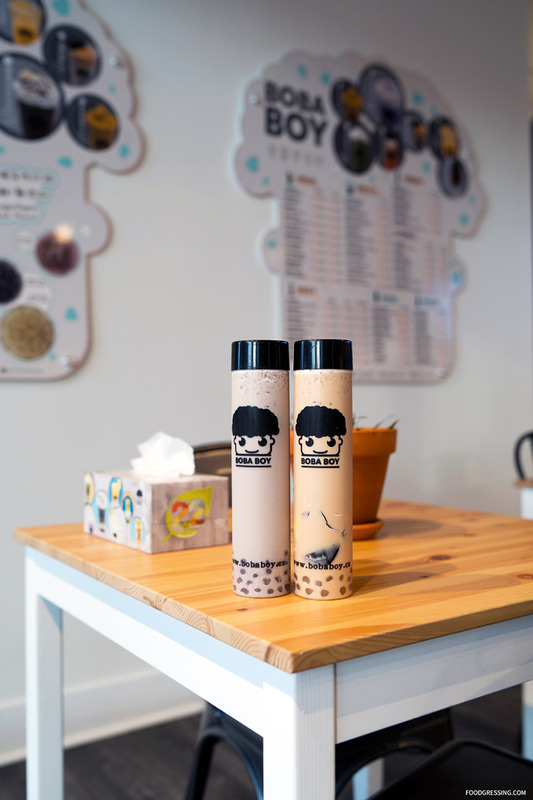 In terms of volume, the pearls occupied approximately one-fifth of the Boba Bottle. They are smaller but densely packed and were stuck together at the bottom of the cup. I would swirl the drink with my straw or shake the bottle in order to loosen the pearls. Was the Boba Bottle worth it? To start, I like it for the novelty factor. 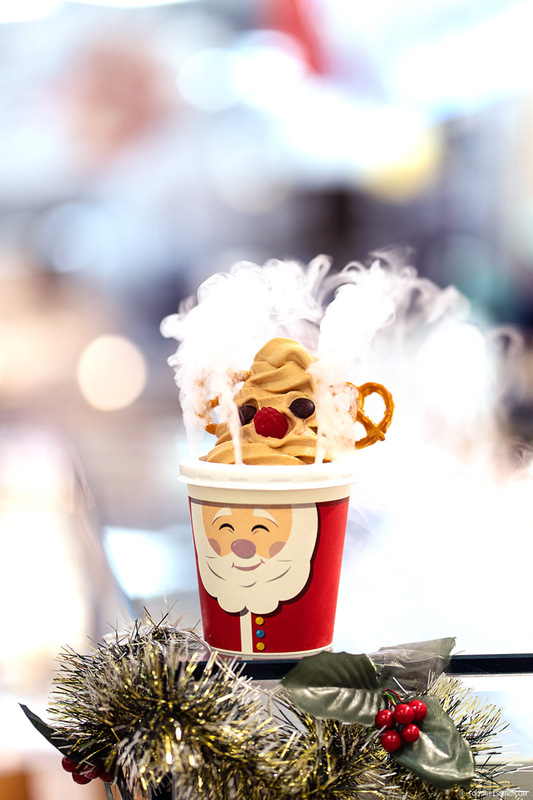 It’s a great way to get bubble tea to go. If you have a large to-go order of bubble tea say for like 10 of your friends, I think the Boba Bottle works perfectly. PRO TIP: The Boba Bottle has a special, longer straw so don’t grab the wrong one. The straw is sized perfectly to the height of the Boba Bottle so that you can still put the cap on. 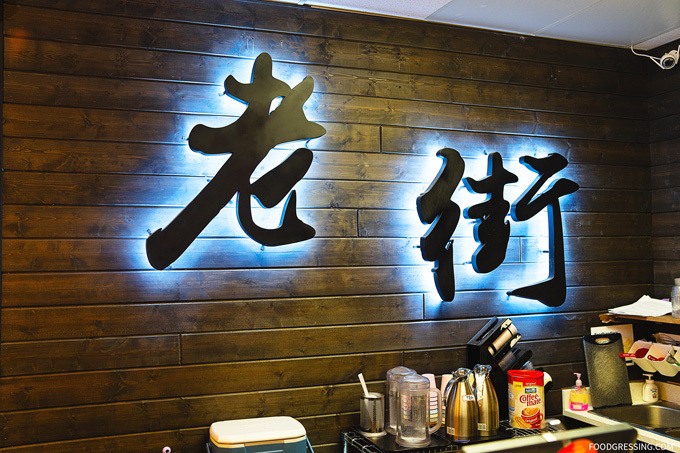 Taiwanese-based bubble tea chain, Comebuy, opened up a location in Crystal Mall last year. 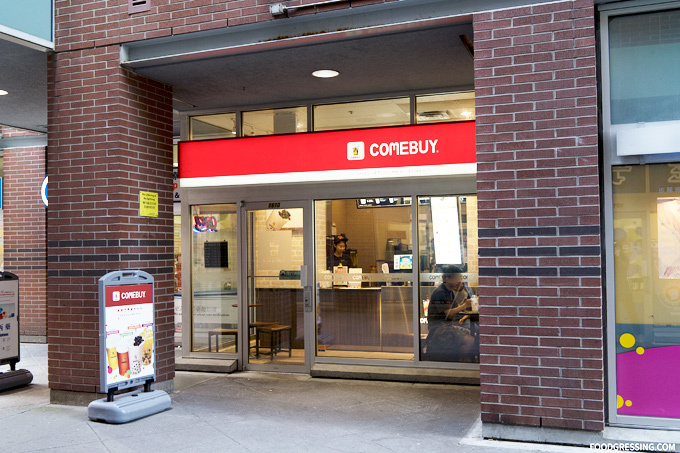 Comebuy was founded in 2002 and is a smaller chain compared to Chatime and Gong Cha with just 200 stores worldwide. 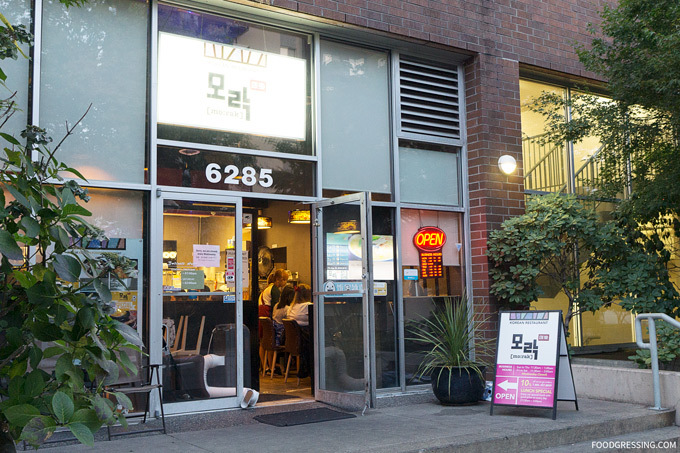 Most recently, they opened up a second location in Metro Vancouver in the Kerrisdale neighbourhood. 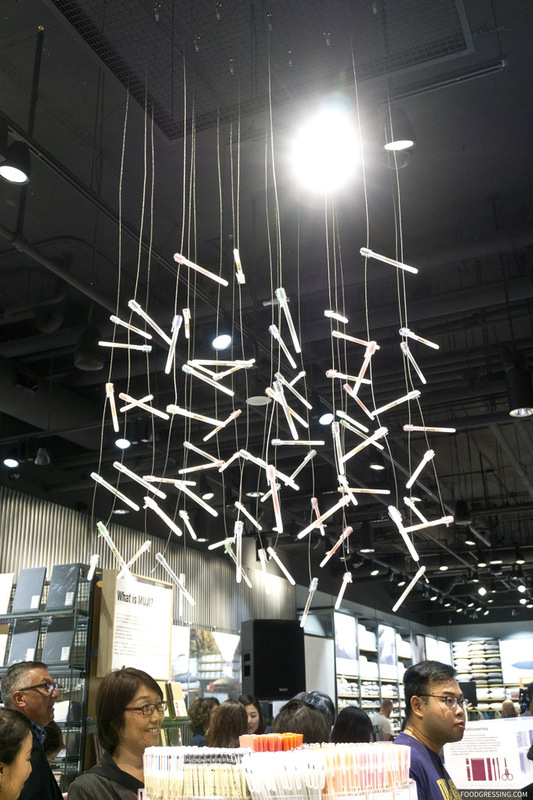 On a recent shopping trip in Burnaby, I decided to visit Comebuy Crystal Mall for some refreshments. Note: None of the drinks in this review was complimentary. This review was done anonymously. 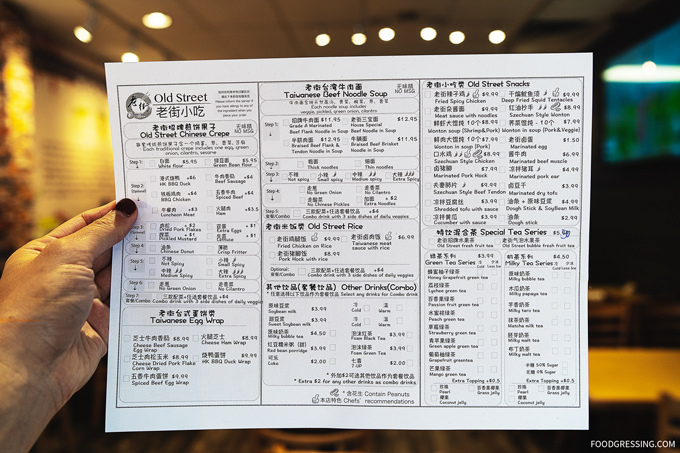 Comebuy Crystal Mall’s menu is fairly small compared to other bubble tea places in Vancouver. 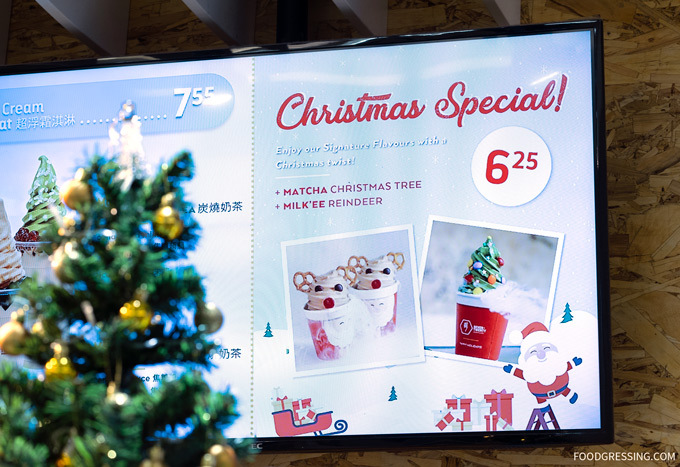 Their series includes Teapressos, Lattes, Milk Teas, Teaccino, Coffees, and other seasonal specials. 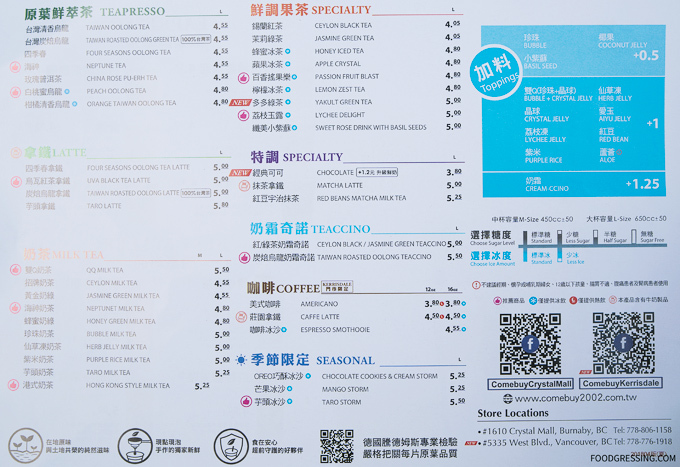 The prices are comparable to other bubble tea houses in Vancouver. 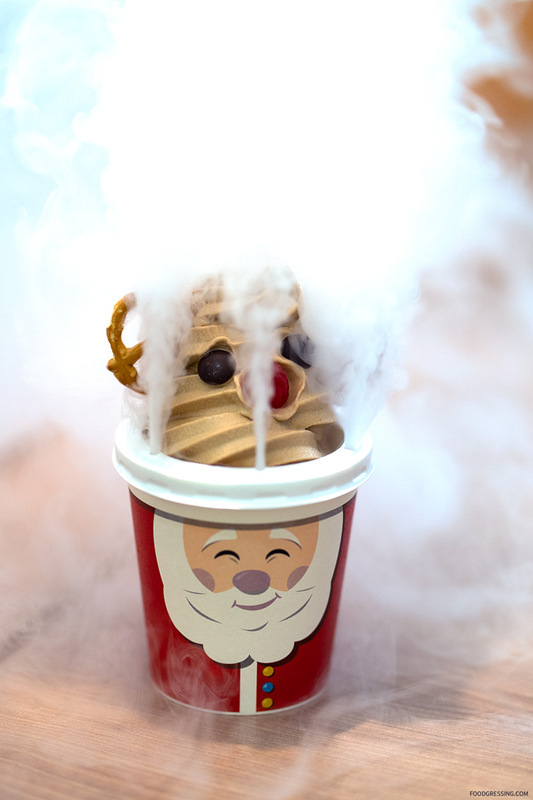 Drinks can be customized for sugar and ice level. 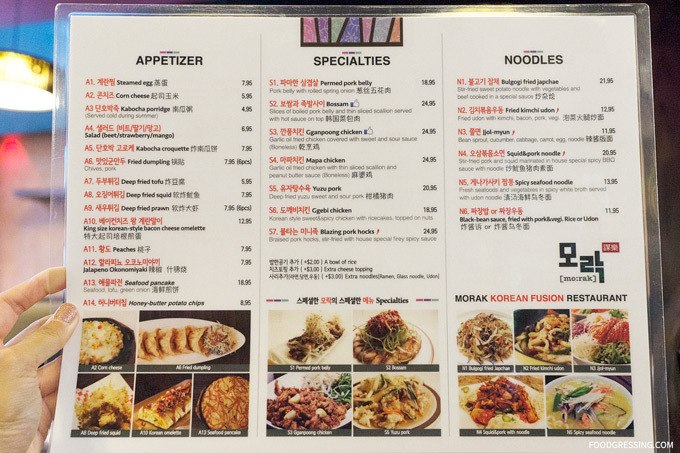 Some of the more unique topping choices they offer include Crystal Jelly, Purple Rice, Lychee Jelly, Basil Seeds and Creamcinno. 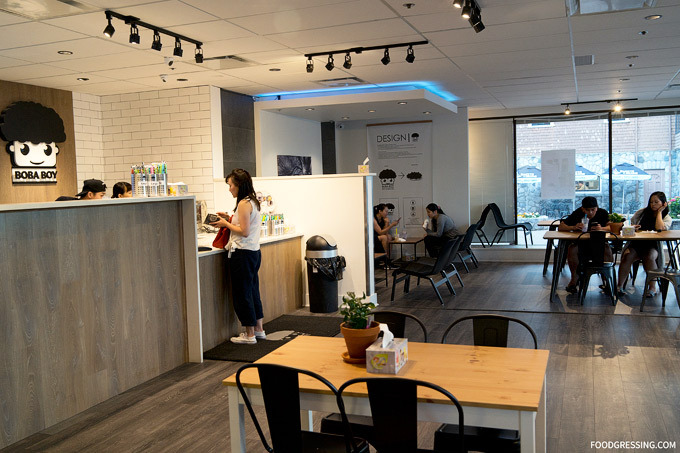 I tried one of their best sellers, QQ Milk Tea, and one of their Teapressos, Peach Oolong Tea. Both drinks actually exceeded my expectations with great tea flavour and tasty toppings. 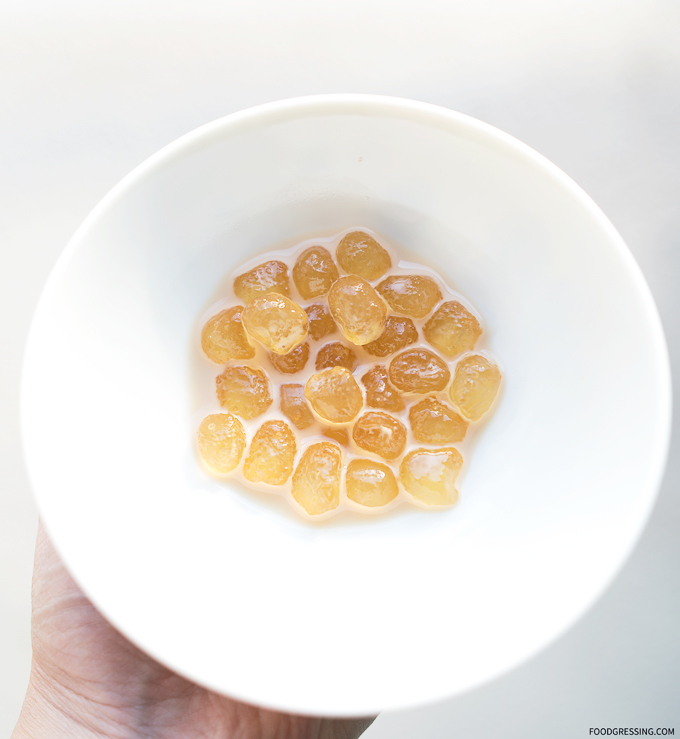 The QQ Milk Tea comes with two types of toppings: tapioca pearls as well as the Konjac jelly. The tapioca pearls were good: smooth and slightly soft on the outside, but chewy through to the middle with a slightly increased level of firmness. 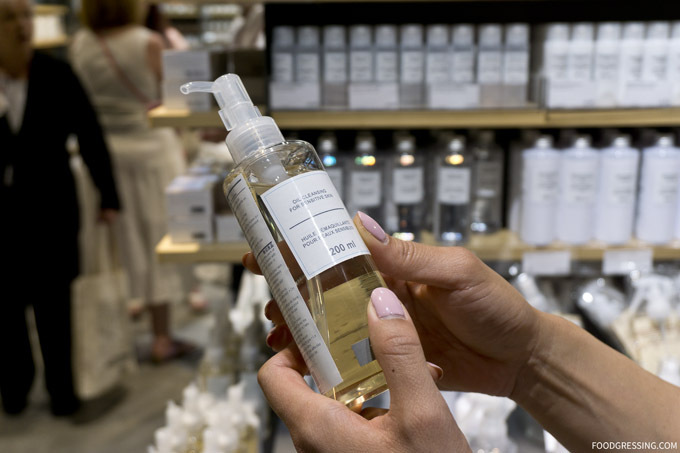 The standout for me was the Konjac jelly, which are “white pearls” that are firmer and more bouncy than regular pearls. They added a nice textural contrast to the regular tapioca pearls. 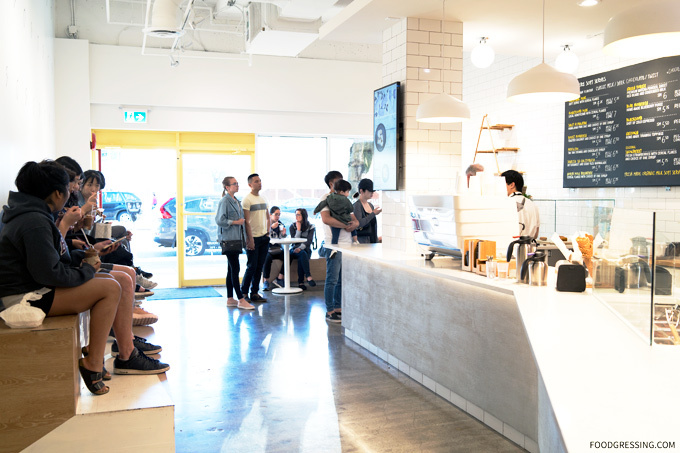 The Peach Oolong Teapresso was ultra-refreshing and had a wonderful balance between fruit and tea flavours. This drink came with coconut jelly, which went well with the drink. 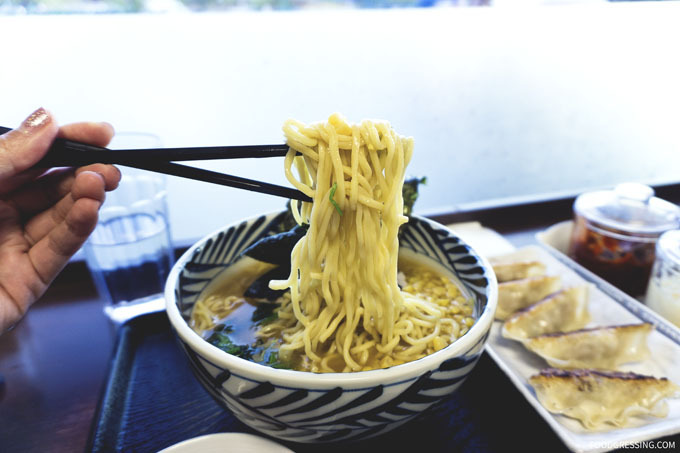 I would love to have this again. 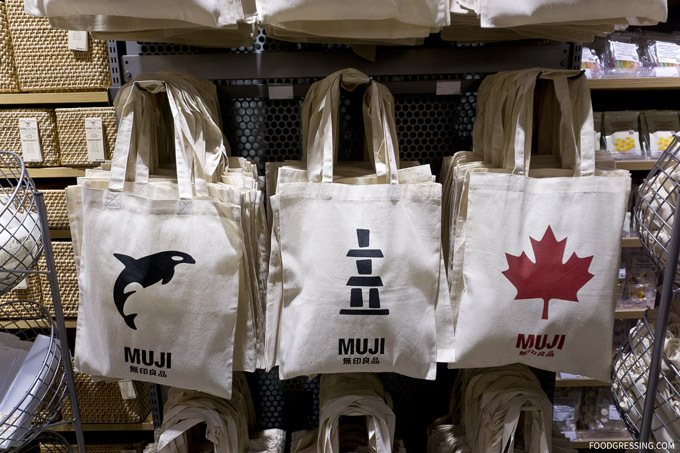 Japanese retailer MUJI has opened its first store in Western Canada at Metropolis at Metrotown shopping mall in Burnaby. 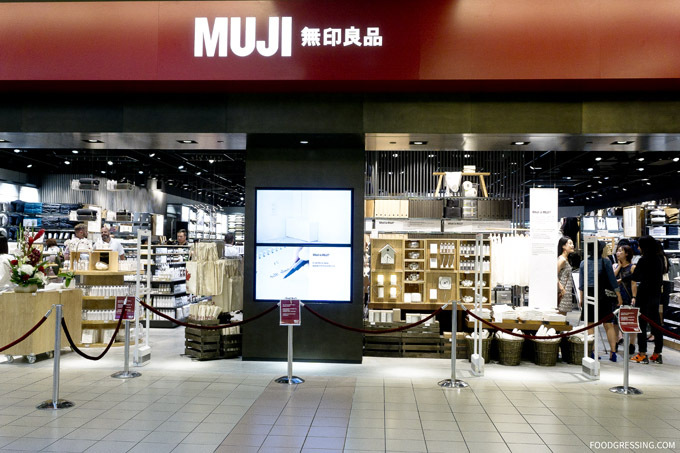 With 7,770 square feet of retail space, this will be MUJI Canada’s largest store. 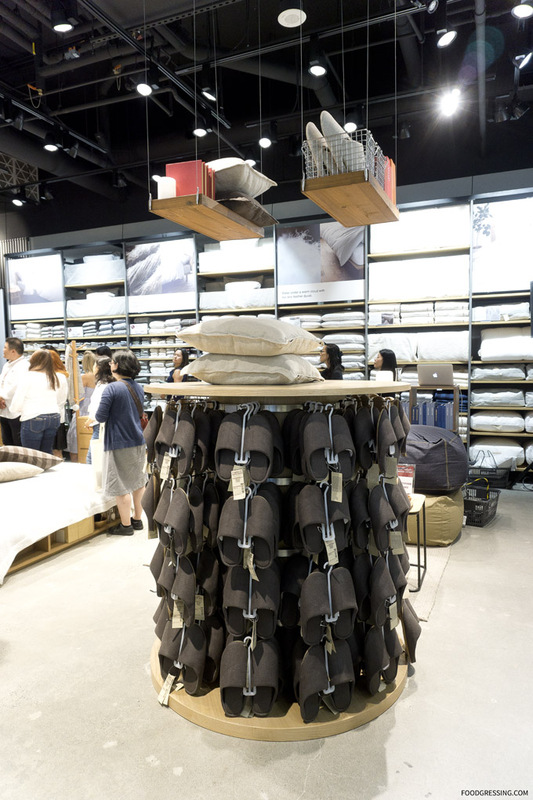 MUJI Metrotown officially opens to the public on Saturday, August 26. 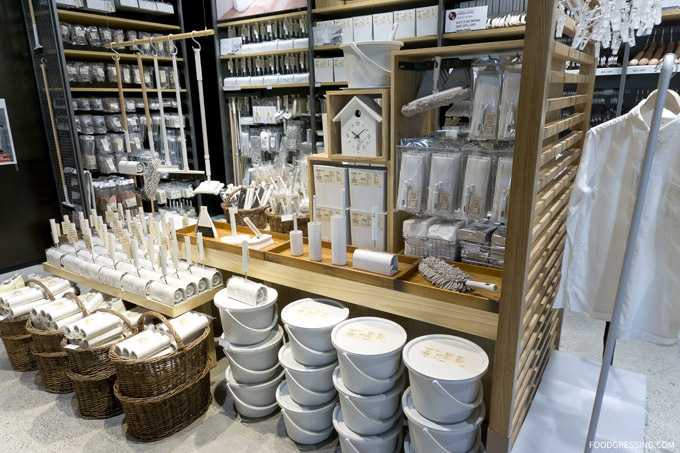 I attended a media preview on Friday evening and I’m happy to share with you a first look at MUJI Metrotown. 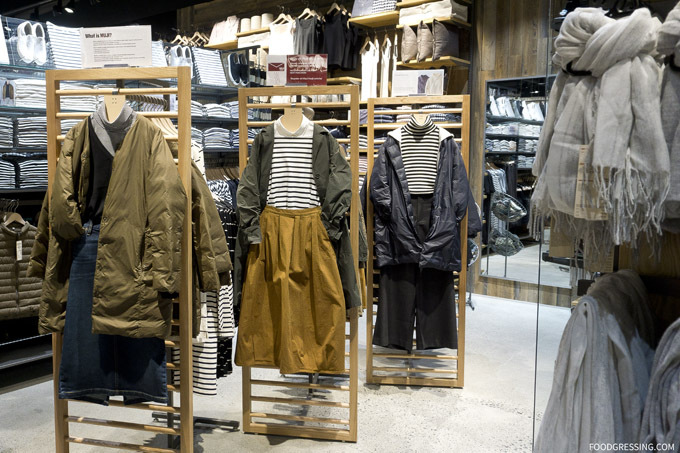 With the goal of making people’s daily life comfortable and pleasant, MUJI is globally recognized for its high quality products that are functional and well designed, but at the same time simple and reasonably priced. 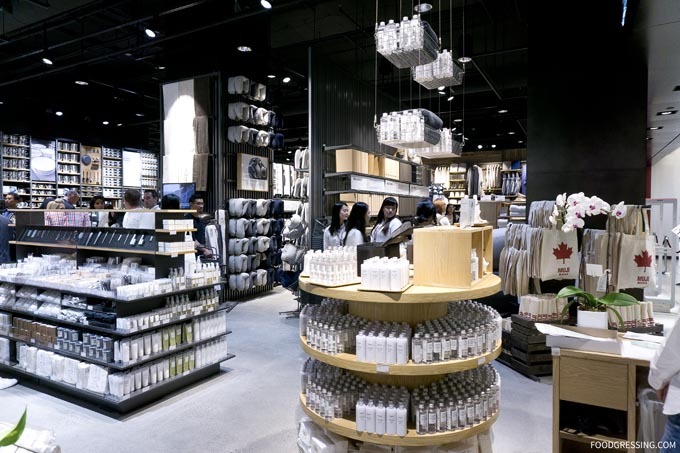 The Metrotown store will offer MUJI Canada’s full range of merchandise including household goods, apparel, and food. 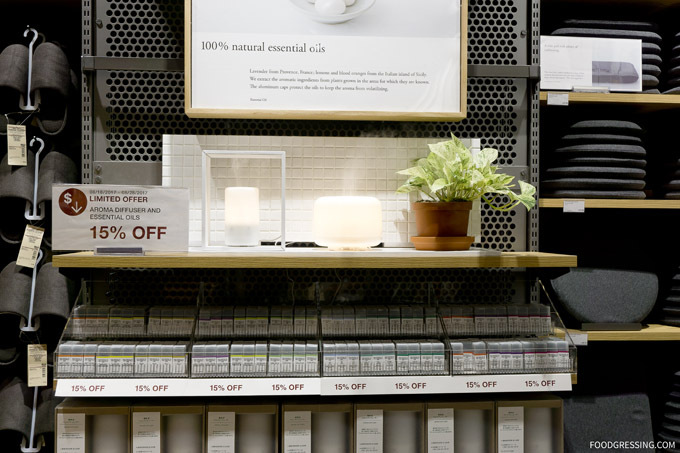 TIP: If you subscribe to MUJI Mail, you can receive 10% off your purchase. 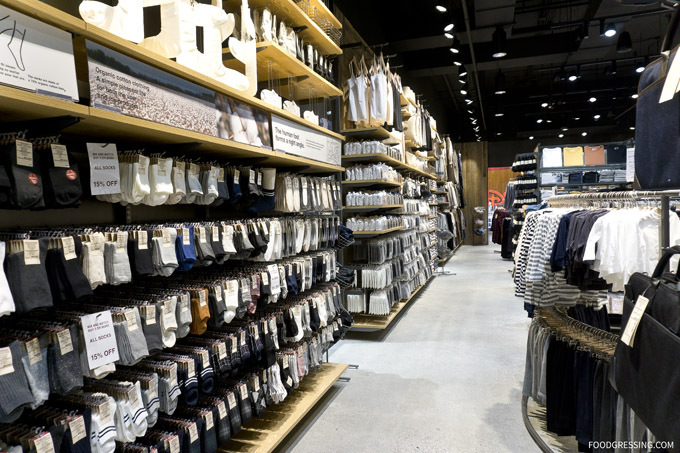 Mujirushi Ryohin, MUJI in Japanese, translates as “no-brand quality goods.” MUJI was founded in Japan in 1980 and now has more than 800 stores around the world, carrying more than 7,000 items. 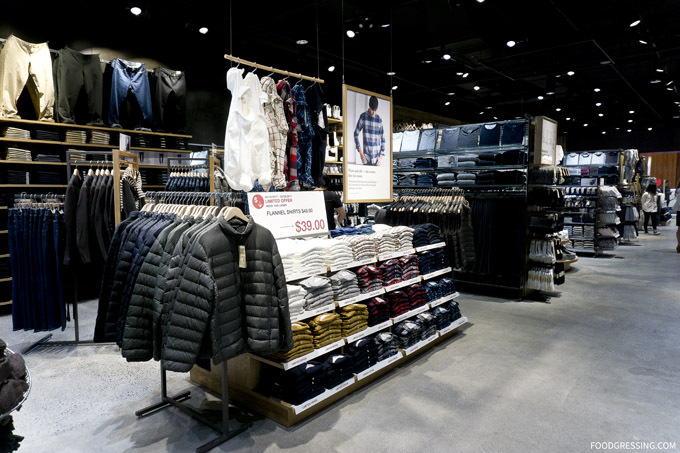 The company expanded to Canada in 2014, with the opening of Toronto’s Atrium location, followed by the Square One Shopping Centre location in Mississauga, the Yorkdale Shopping Centre location, and most recently, the Markville location. 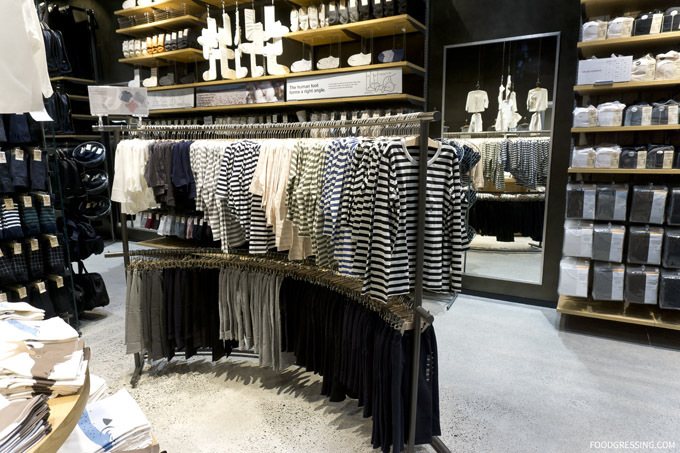 Scroll more below to see more photos of the different sections of the store. 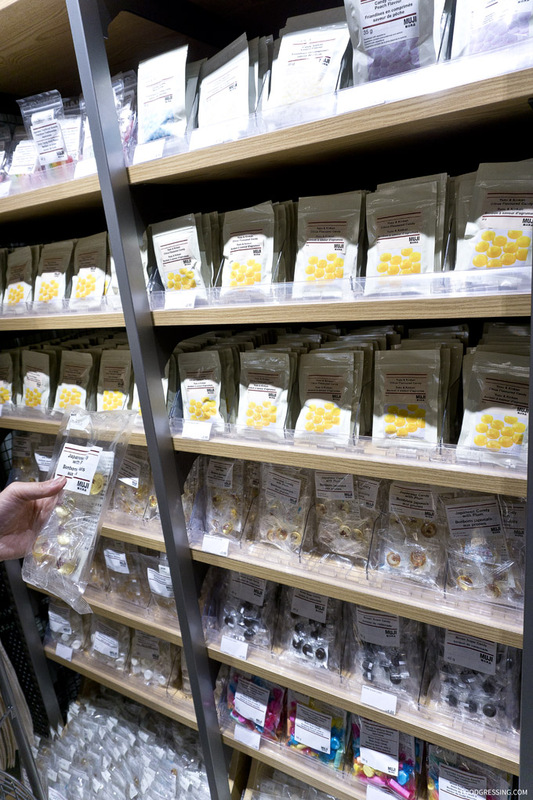 For foodies out there, don’t forget to check out the food section with candies and confections like Japanese Candy with Plum and Brown Sugar Candy. 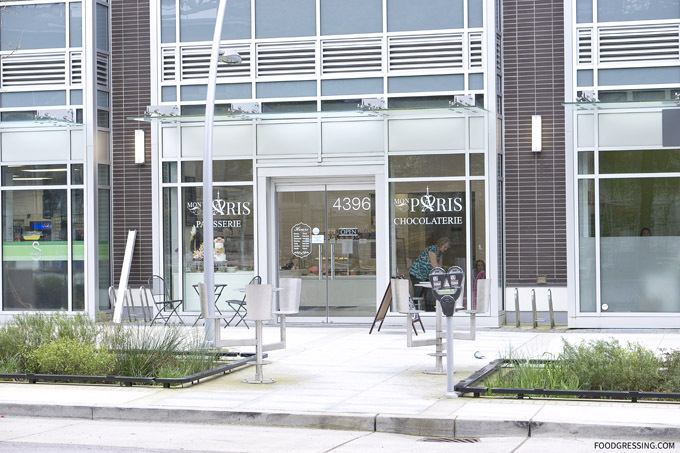 Mon Paris Patisserie is a new Parisian-style cafe that has opened in Burnaby’s Metrotown neighbourhood at 4396 Beresford Street. 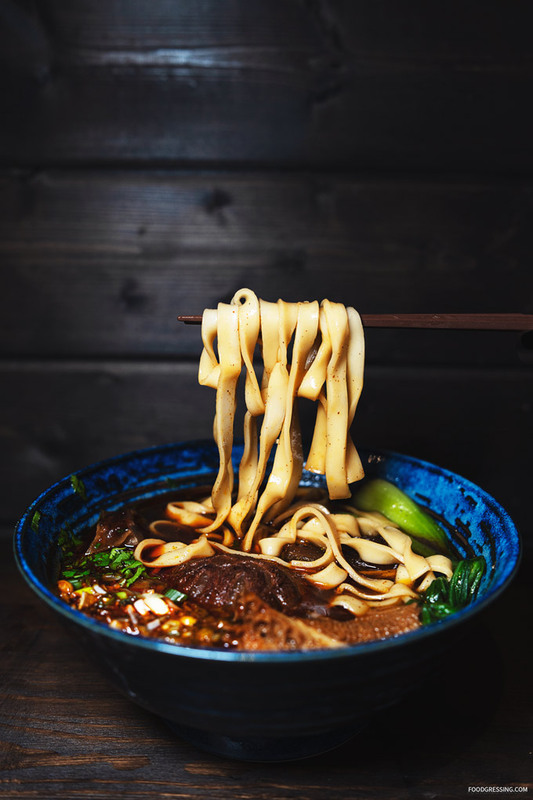 It is owned and operated by Parisian-trained Chef Elena Krasnova and this is her first venture alone. 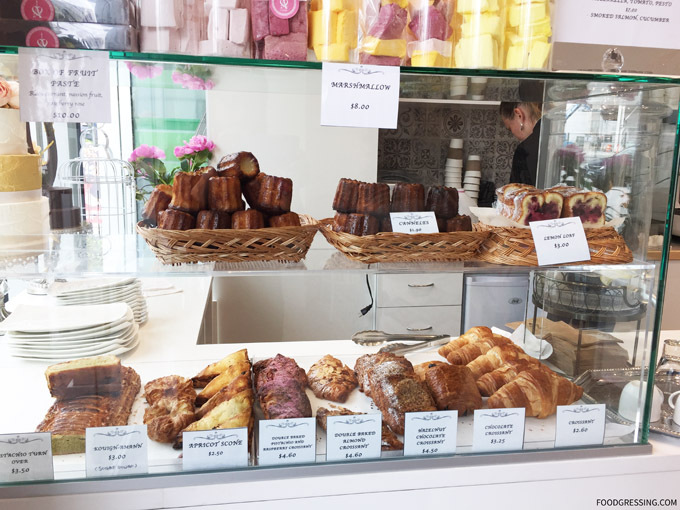 I had seen some social media posts about Mon Paris Patisserie and had been interested in trying out their treats. 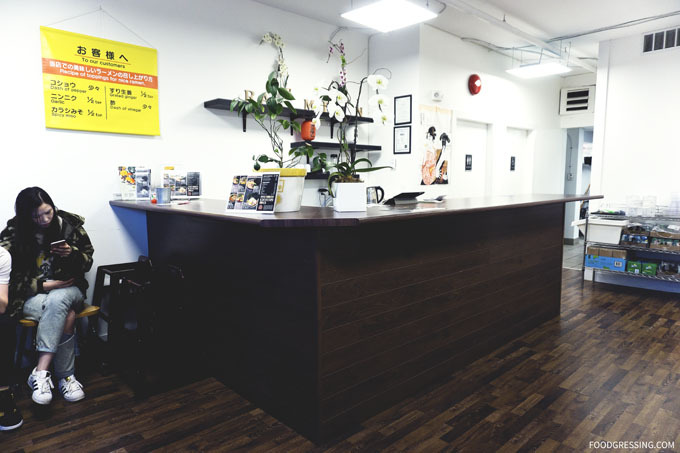 This month, I am working with Pay By Phone to share with my readers about their expansion to Burnaby. 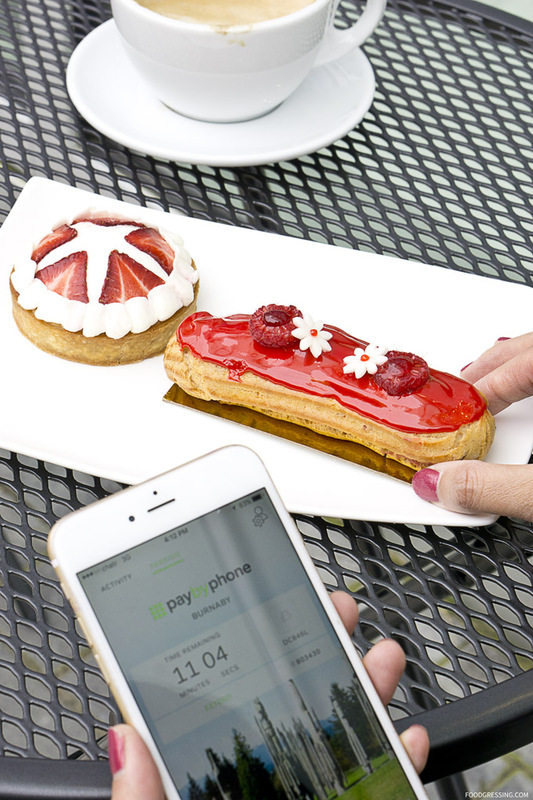 Mon Paris Patisserie has metered parking just right in front and you can use Pay By Phone to enjoy simple, worry free parking while you are there. Here are a few thoughts on my visit to Mon Paris. Disclosure: None of my food in this review was complimentary. The cafe did not know that I am a blogger. My parking was sponsored by Pay By Phone. 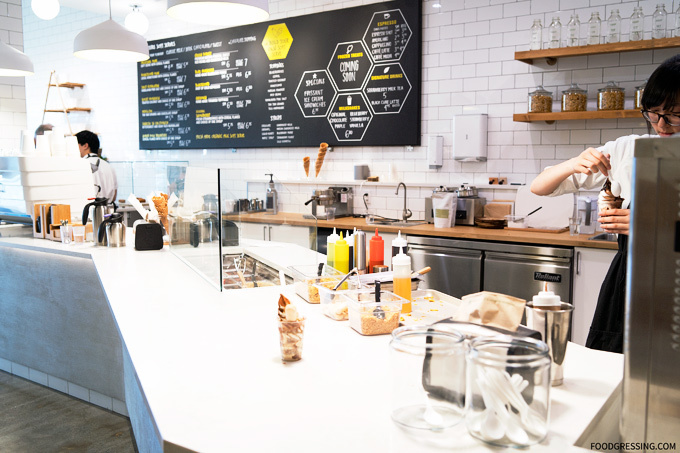 The 1,000 square foot cafe is bright, airy, clean and modern. 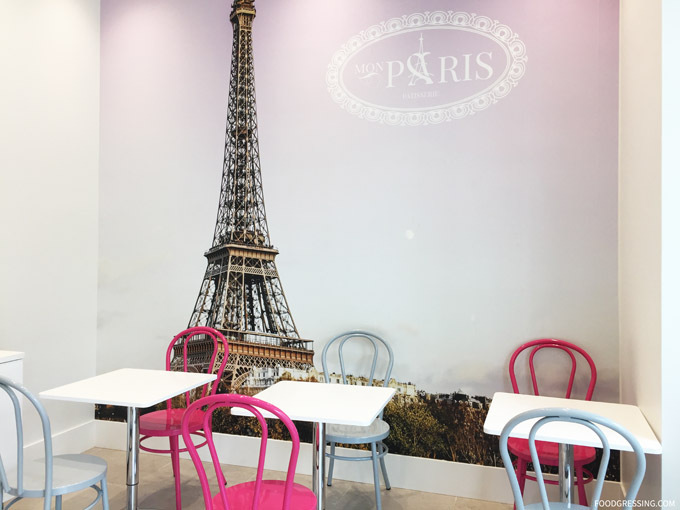 When you walk in, a large photo of the Eiffel tower immediately catches your eye. 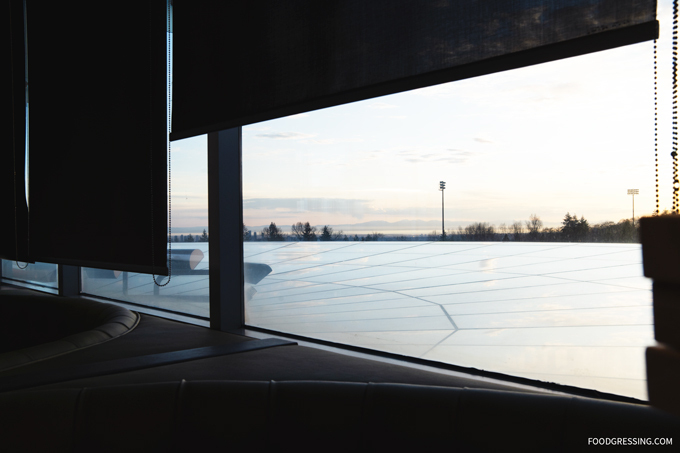 There are a few two-seater tables inside the cafe as well as one table outside. 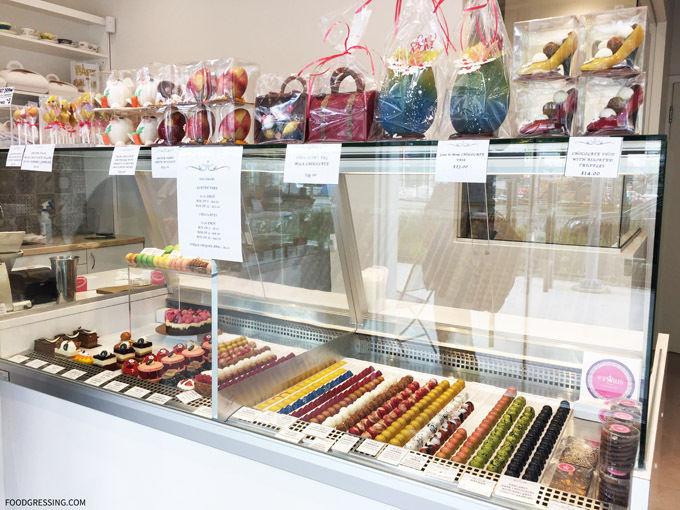 Mon Paris Patisserie’s tantalizing display of goodies includes viennoiseries (scones, croissants, turnovers and more), confections (marshamallows and marmalades), macarons, chocolates, cakes and tarts. 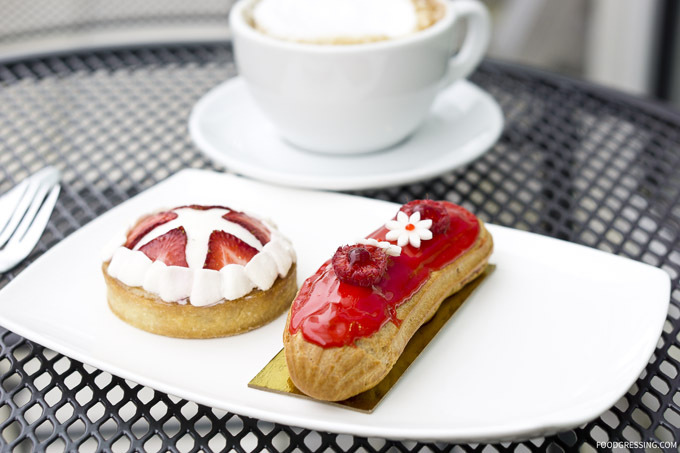 The style of the pastries seem to be French but with a modern twist. I noticed the vibrant colours of the treats which seem to be more of a modern appeal. 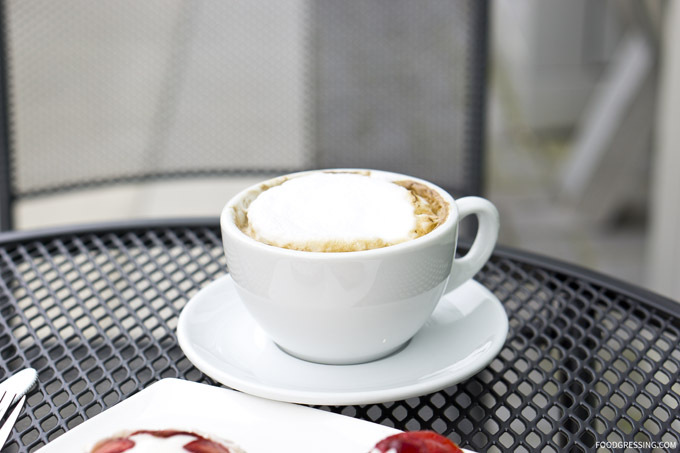 Also on the menu are lunch specials like croissant sandwiches as well as espresso-based drinks and teas. 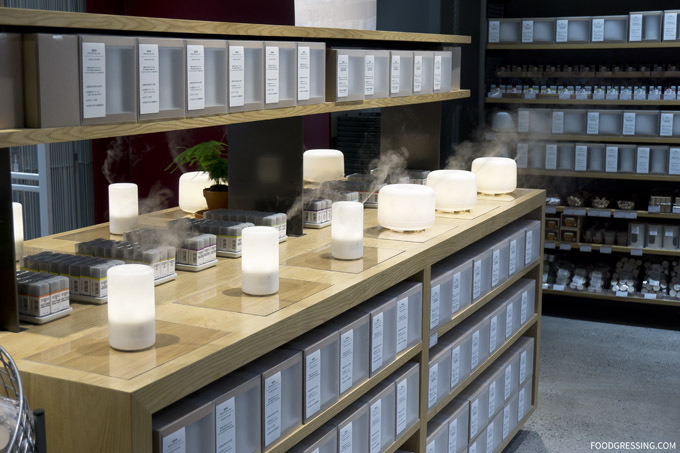 While I quite enjoyed the modern and inviting atmosphere, things kind of went awry afterwards. The woman working the counter may have been a temporary fill-in or a relative of the Chef perhaps? She was friendly but didn’t seem quite familiar with how things operated around there. To start, I noticed that she just used her bare hands when she removed my treats from the display case. 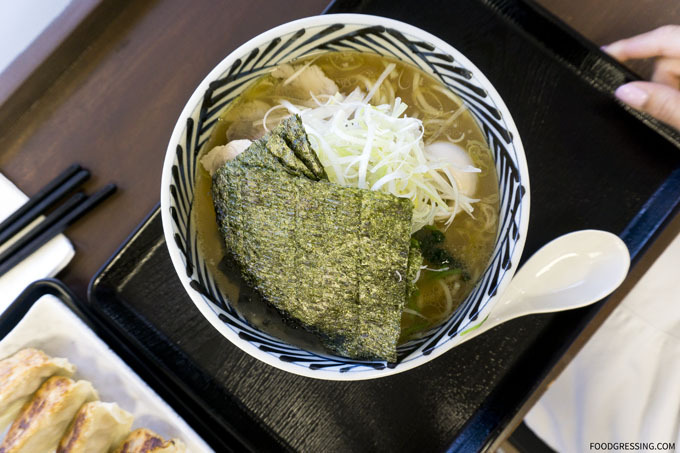 Staff at other cafes would use tongs or use gloves to handle the food, I think. Also, the display case at Mon Patisserie is deeper such that there is no easy way to just slide out the treats. 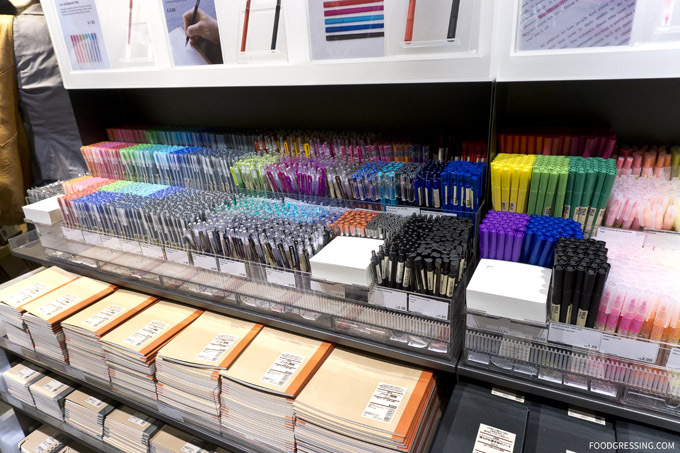 You literally need to lift them out of the case. I saw that the woman went from handling my treats to touching the tablet to process the payment. Next up, the cappuccino seemed a little off. The proportions of espresso and milk seemed wrong? The drink was loaded with milk foam and the espresso was rather weak in my opinion. It just didn’t seem like an expertly crafted cappuccino. The raspberry eclair and strawberry and sour cream tart were very good. Both were not very sweet as high quality French pastries should be. The rapsberry eclair had a tasty raspberry-flavoured cream filling. However, I feel the filling from the new Eclair de Genie shop on Robson are better as they tasted fresher and lighter. 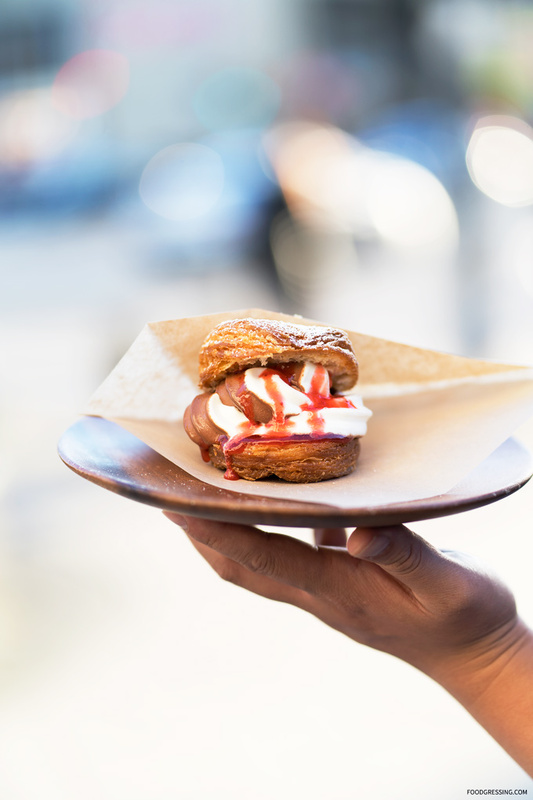 Of course, there is a bit of a price difference as well: $4 for an eclair at Mon Paris versus upwards of $7 at Eclair de Genie. Another surprise was that my husband picked off some fibers from inside the tart. They didn’t seem to be human hair but perhaps fibres from clothing? I didn’t complain as I was not in a mood to deal with the staff about it. But otherwise, the dessert tasted quite good with a slightly tart flavour. The crust wasn’t very sweet but was still buttery.